MEFSD - Year End Report 2011: As 2011 draws to a close, its time to recap our busy year and discuss plans for 2012. 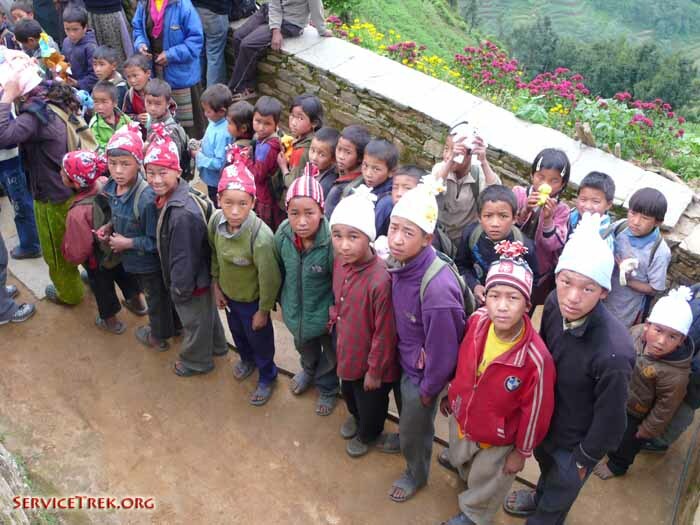 Thanks for following our service trek and please be sure to join us for the 2011 service trek 15-29 june. During that trek we will walk the lush unspoiled green foothills near Mount Everest, spend fun time with friendly Nepali families who we have known for many years, stroll through uncut ancient forests and tiny terraced farms and clear flowing streams, visit and deliver crucial supplies to rural hospitals and schools, conduct medical checkups on patients (for our medically minded members), teach in the local schools (for those more educationally focused members), help build schools and a new health post (for the handy people among us), upgrade the village hydroelectric system, (for you electrical whizzes), experience ancient sherpa culture first hand, strategize with the villagers how to earn a better, safer, healthier, more educated life without wrecking the place and the culture, and spend valuable unforgettable moments in a land where we have never seen another tourist, far from the beaten path. This is not a high altitude trek, and we will never set foot upon snow. The trails wind up and down through rolling hills and the highest altitude reached is 2800 metres, 9800 feet. 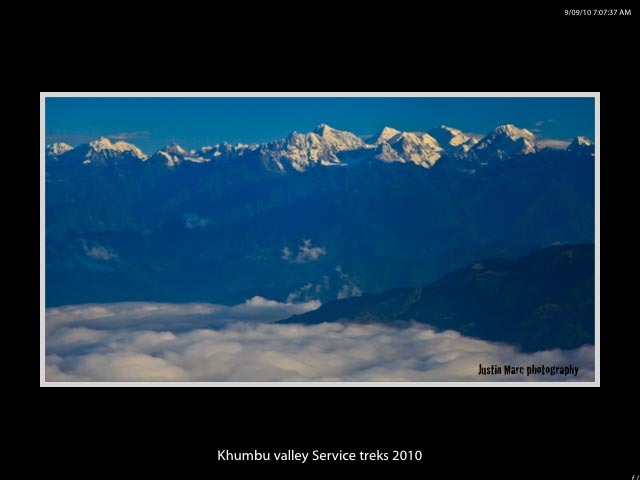 In June, the temperature never drops below 5 degrees c, 40 degrees f. welcome to our june 2012 service trek, and please tell all of your friends to take a look at http://www.servicetrek.org/ and http://www.mefnews.org/. 4. 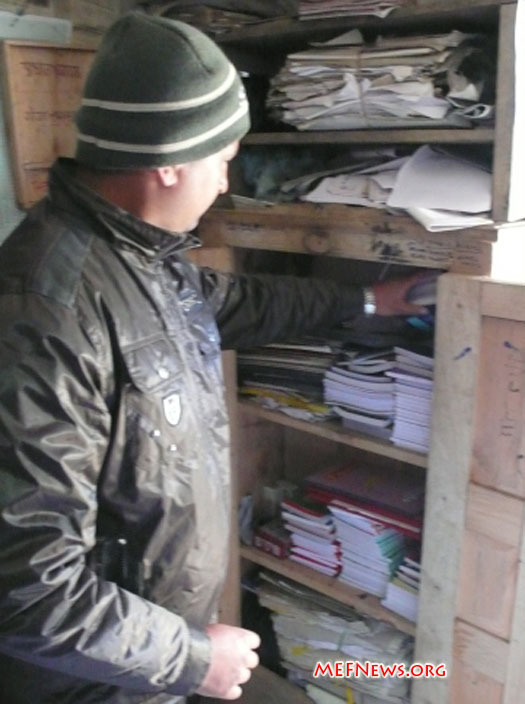 Deha Shrestha, project manager from the MEFSD, has been to the village several times and acts as the main translator at the health post. 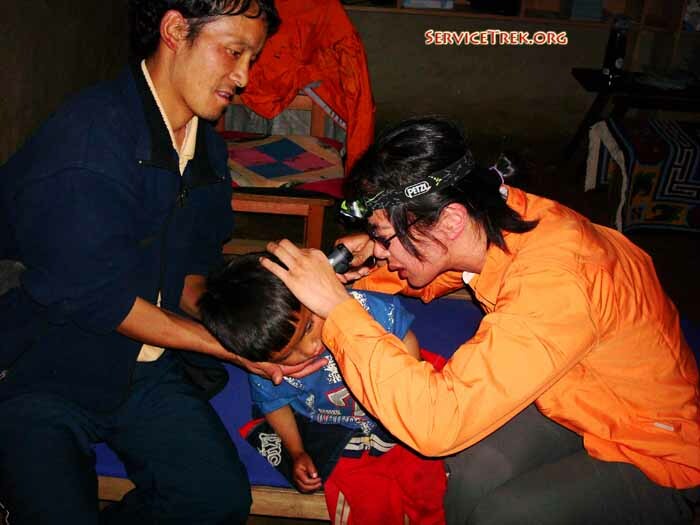 He led our recently completed November 2011 service trek. 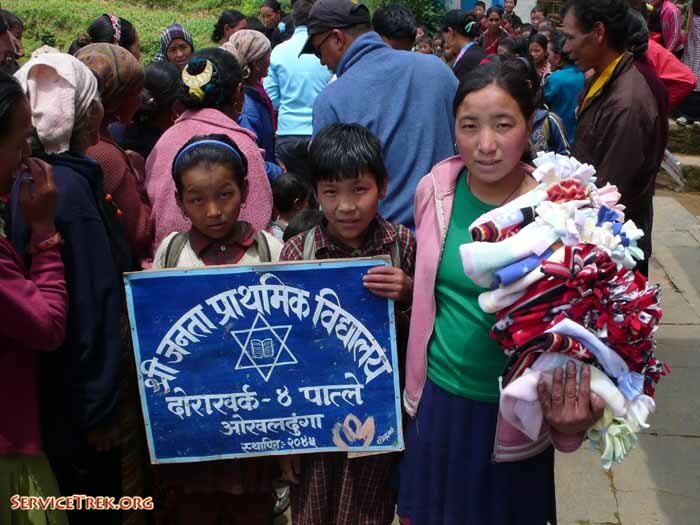 Thanks for following our service trek and please be sure to join us for the 2011 service trek 15-29 june. During that trek we will walk the lush unspoiled green foothills near Mount Everest, spend fun time with friendly Nepali families who we have known for many years, stroll through uncut ancient forests and tiny terraced farms and clear flowing streams, visit and deliver crucial supplies to rural hospitals and schools, conduct medical checkups on patients (for our medically minded members), teach in the local schools (for those more educationally focused members), help build schools and a new health post (for the handy people among us), upgrade the village hydroelectric system, (for you electrical whizzes), experience ancient sherpa culture first hand, strategize with the villagers how to earn a better, safer, healthier, more educated life without wrecking the place and the culture, and spend valuable unforgettable moments in a land where we have never seen another tourist, far from the beaten path. This is not a high altitude trek, and we will never set foot upon snow. The trails wind up and down through rolling hills and the highest altitude reached is 2800 metres, 9800 feet. 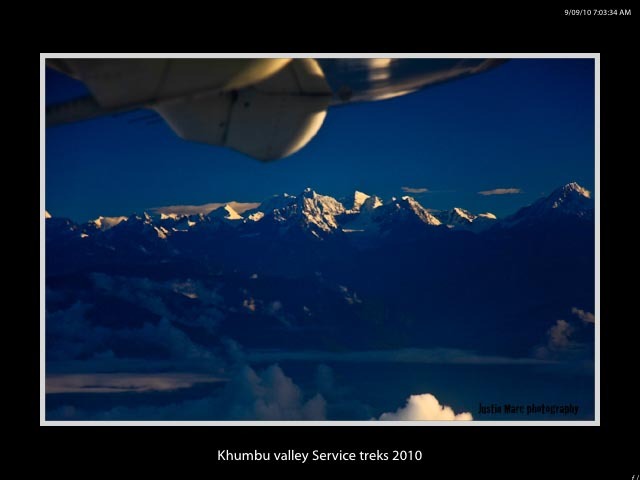 In June, the temperature never drops below 5 degrees c, 40 degrees f. welcome to our june 2011 service trek, and please tell all of your friends to take a look at http://www.servicetrek.org/ and http://www.mefnews.org/. 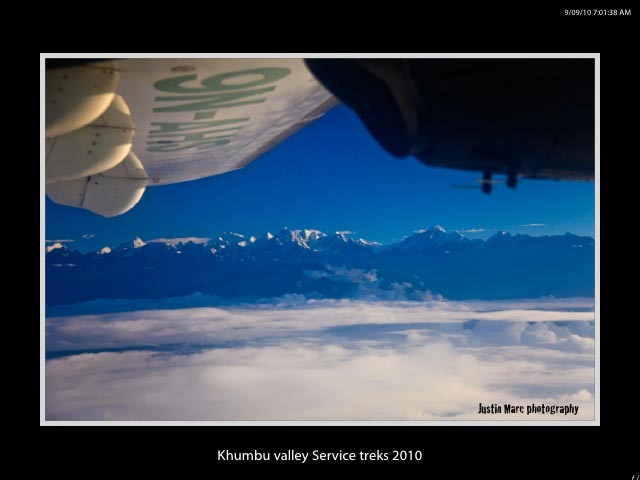 Thanks for following our service trek and please be sure to join us for the 2012 service trek 15-29 june. During that trek we will walk the lush unspoiled green foothills near Mount Everest, spend fun time with friendly Nepali families who we have known for many years, stroll through uncut ancient forests and tiny terraced farms and clear flowing streams, visit and deliver crucial supplies to rural hospitals and schools, conduct medical checkups on patients (for our medically minded members), teach in the local schools (for those more educationally focused members), help build schools and a new health post (for the handy people among us), upgrade the village hydroelectric system, (for you electrical whizzes), experience ancient sherpa culture first hand, strategize with the villagers how to earn a better, safer, healthier, more educated life without wrecking the place and the culture, and spend valuable unforgettable moments in a land where we have never seen another tourist, far from the beaten path. This is not a high altitude trek, and we will never set foot upon snow. 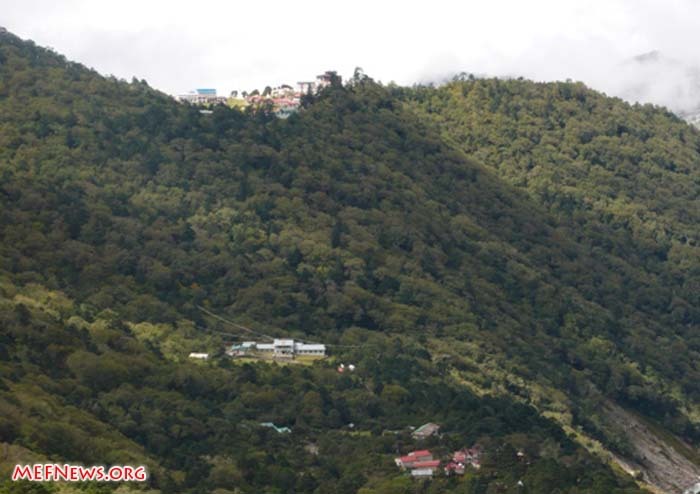 The trails wind up and down through rolling hills and the highest altitude reached is 2800 metres, 9800 feet. 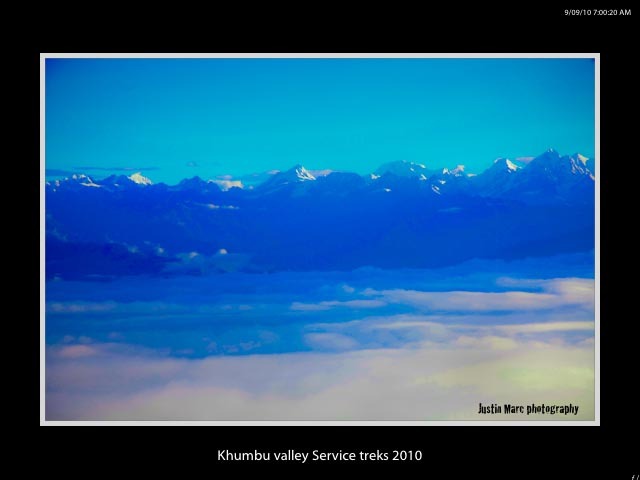 In June, the temperature never drops below 5 degrees c, 40 degrees f. welcome to our june 2012 service trek, and please tell all of your friends to take a look at http://www.servicetrek.org/ and http://www.mefnews.org/. 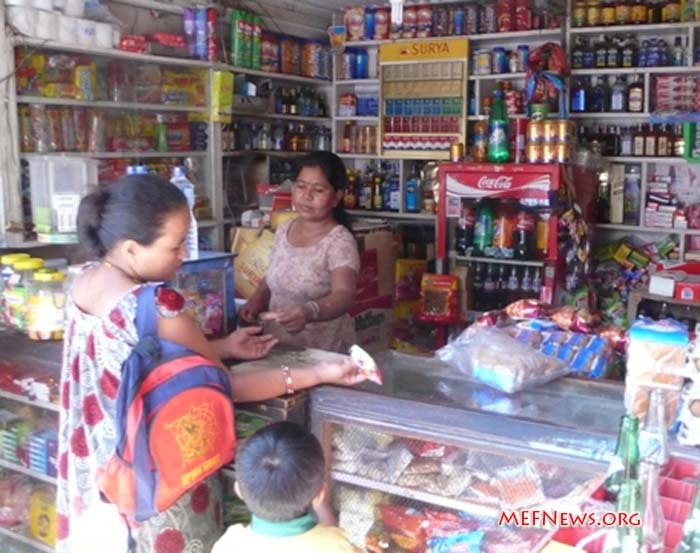 Hello everyone, thanks for following our service trek and keeping up with whats going on at http://www.mefnews.org/ . I hope everyone back at home had a happy Thanksgiving weekend. It’s been a lot of fun here. 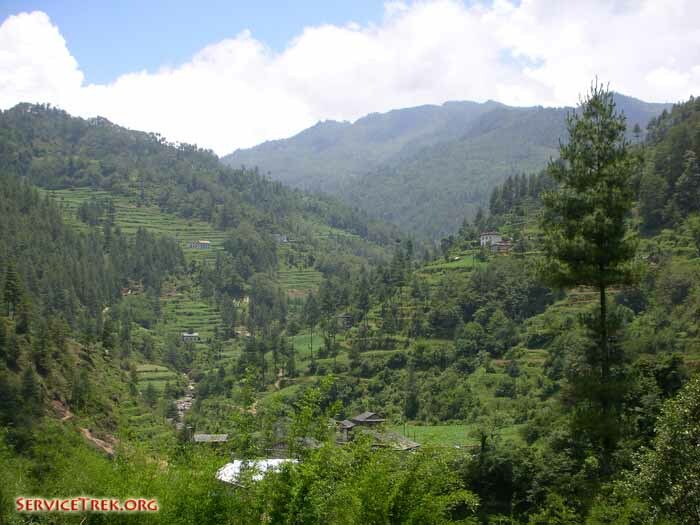 We’re standing here in the sunshine on the hills in the little village of Dhaurakharka. Everywhere you walk here is up or down and not flat, so the people are very strong. I guess that’s all I have to say. Thanks. 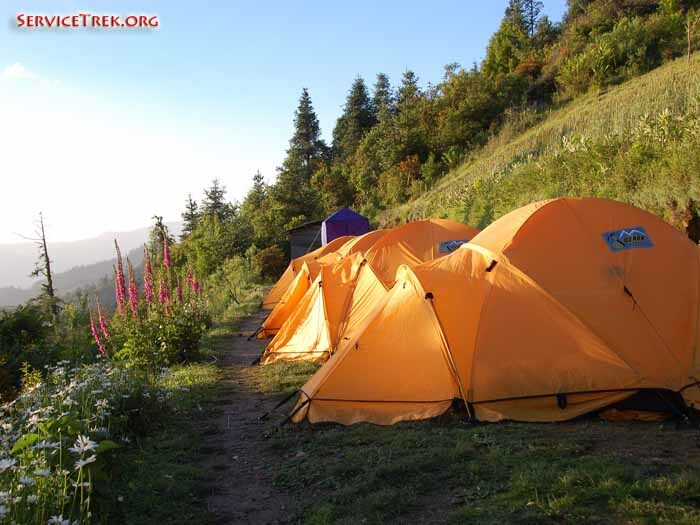 Well hello all of our http://www.summittreknews.com/ and http://www.mefnews.com/ readers. 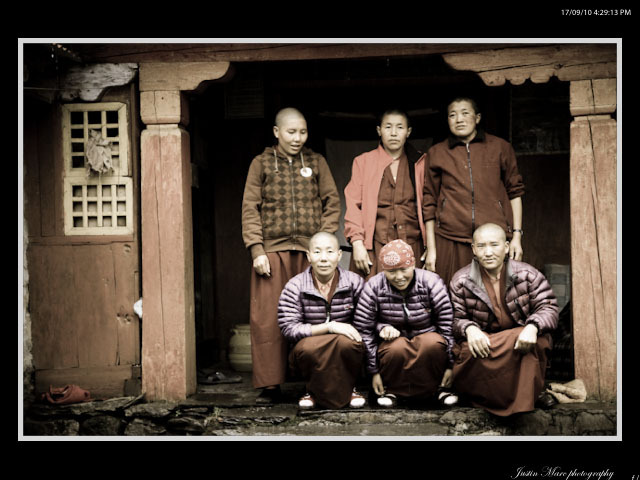 This is a little report for your interest about Buddhist Nuns. 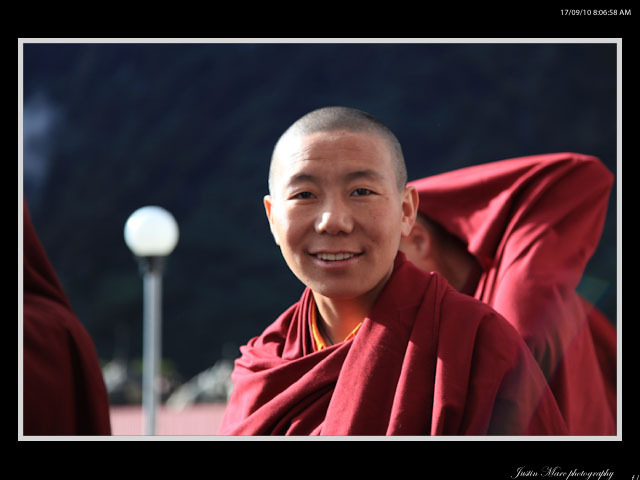 Now lots of you might have heard about Buddhist monks and monasteries, but did you know that there are also Buddhist nuns and convents? We at http://www.summittrek.com/ have been working together with http://www.mounteverestfoundation.org/ to rebuild Nepal's oldest Buddhist Convent, called Deboche Ani's Gompa, at the base of the mighty Mount Ama Dablam (please see http://www.amadablamclimb.com/) just 26 kilometres, 16 miles from Mount Everest. 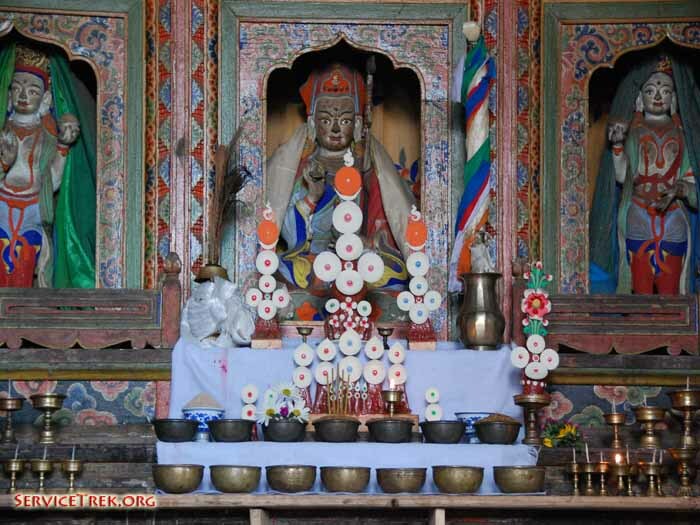 Deboche, as the locals know it, was first built in 1925 and is home to 12 Buddhist Nuns, known as Anis. They spend their days praying, counseling the locals, planting and harvesting crops, carrying water, going about their daily routine. 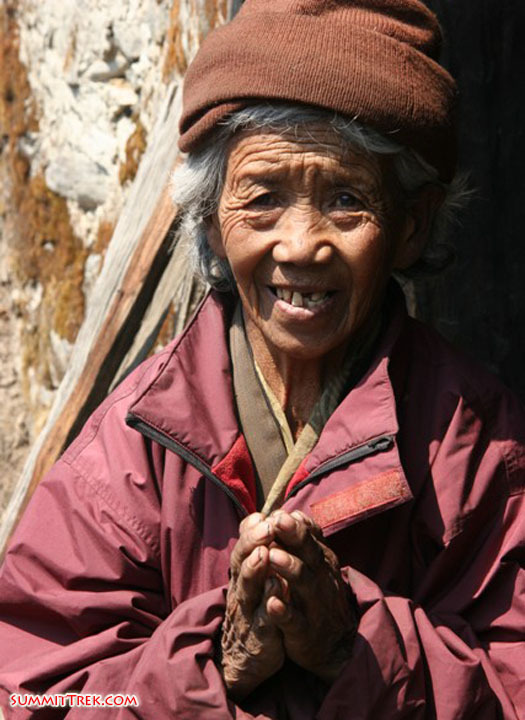 The nuns are from age 25 up to 85 and are from Nepal and Tibet. 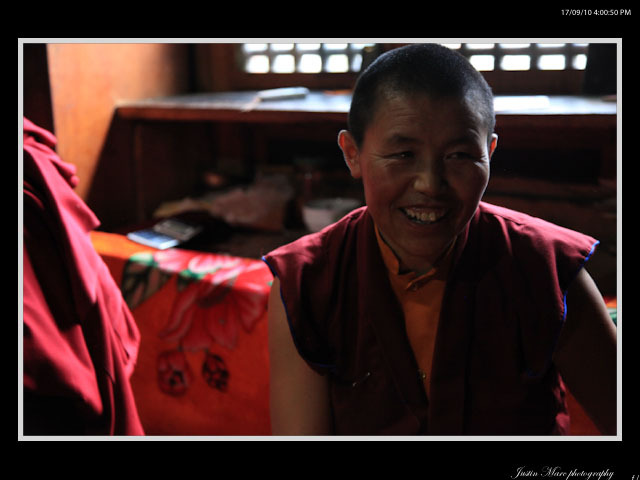 One nun has been there more than 50 years and spends much of her time praying in solitary meditation. 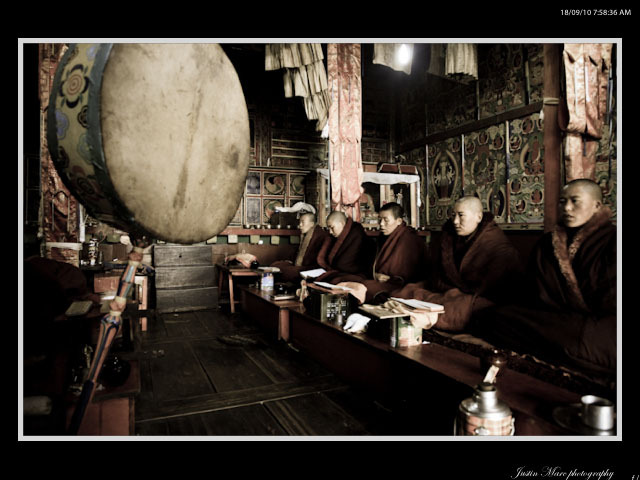 Here are some photos to show you a bit of what a Buddhist nun's daily life might be like. Hi, this is Dan calling in a voice dispatch for the 23rd of September. 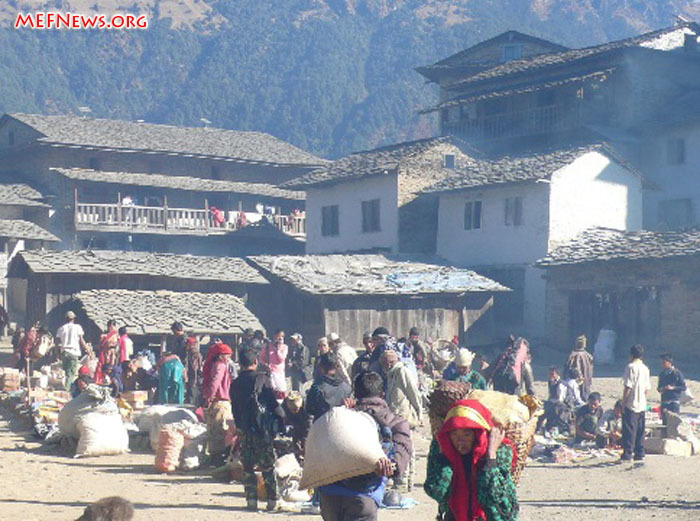 We’re up in Gorak Shep today, which is a small village at the base of Mount Everest. 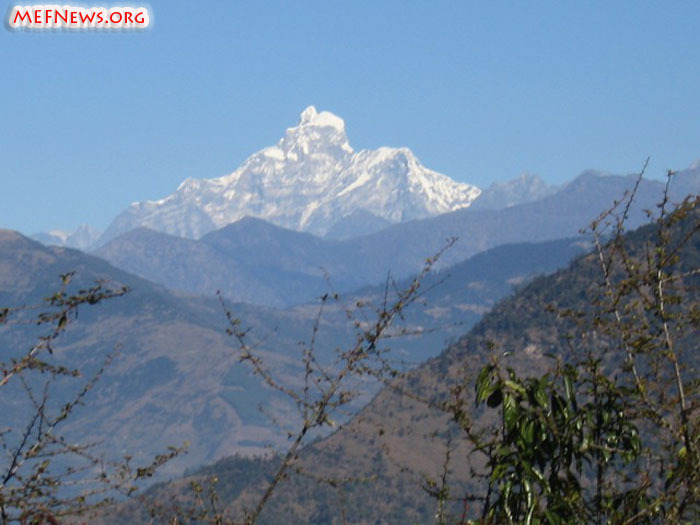 The elevation is about 5100 metres/16,700 feet. We were very busy doing a survey for the bio-thermal energy project, working together with the Seattle chapter of Engineers Without Borders, as well as SummitTrek and the Mount Everest Foundation for Sustainable Development (MEFSD). 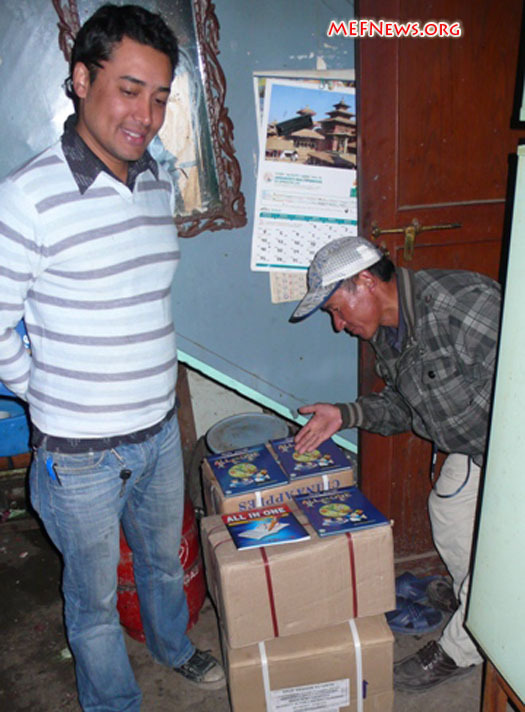 We’ve been studying the human waste and human generated waste, as well as rubbish coming from Mount Everest basecamp. 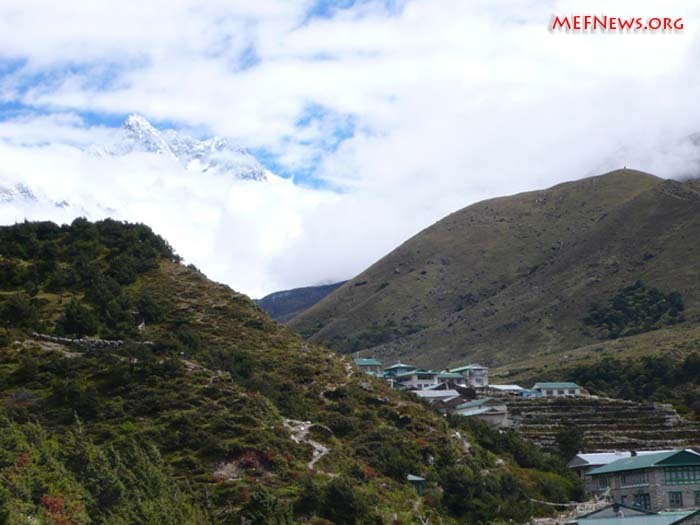 We’ve also been studying waste produced at the small village of Gorak Shep, which is very close to Mount Everest basecamp at just 5 kilometres away. We just surveyed the whole area, looking at basecamp itself and the current disposal system and rubbish pits. We also surveyed the village and looked at the sources of waste and rubbish and how they are currently being managed. We studied the exact locations of the dumping sites and tried to map those using GPS and altimeters. We also looked at the water supply and sampled the water for contaminants at 4 locations. We also studied solar energy resources, both passive and active, as well as wind energy potential. We examined the lodges and there are currently 5 hotels there of various sizes and configurations. We spoke with the villagers, the tourists, and the members of the village committee, which is sort of the local government. We also met with the national park administrators and the pollution control committee, which manages the waste and develops the policies for environmental practices. We collected quite a bit of data and also identified several data sources, which at present send data samples by satellite networks every 10 minutes or so. We found several locations where this meteorological information is being collected like wind, temperature, sunlight and various kinds of other data. We also found other data sources which are available and we’re going to contact the people who collect this kind of data and see if we can access it. That includes soil temperatures and quite a bit of data is actually being gathered up there. So we had quite successful survey of the site and all of the sources, met with all of the different people and important players up there at Gorak Shep. We have a pretty good feeling that there is quite a bit of potential up there to create biogas and bio-thermal energy in Gorak Shep and we were really well received. I especially want to thank the Seattle branch of Engineers Without Borders and some of the key members like Garry Porter, Ryan Gilbert, Carmen Cejudo, Kegan Cloos, Bill Herkes, Dan Goering, and Mike Sullivan. It’s been a really interesting process getting this information and I think everyone is feeling pretty encouraged about this. 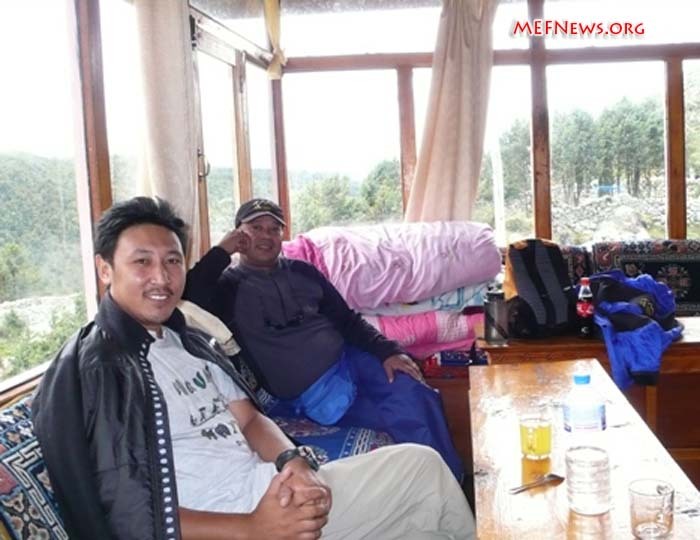 Mingma Sherpa, our local representive, as well as Murari Sharma, the director of the MEFSD, were really encouraged by the potential there and also by how much the villagers, lodge owners, national park and pollution control committee were supportive of this. There’s been quite a bit of research done up there about what to do about the waste and this biogas/bio-thermal energy project might really answer a lot of questions and tackle some of the issues about the increasing human impact up there at high altitude and deal with all of the environmental problems. 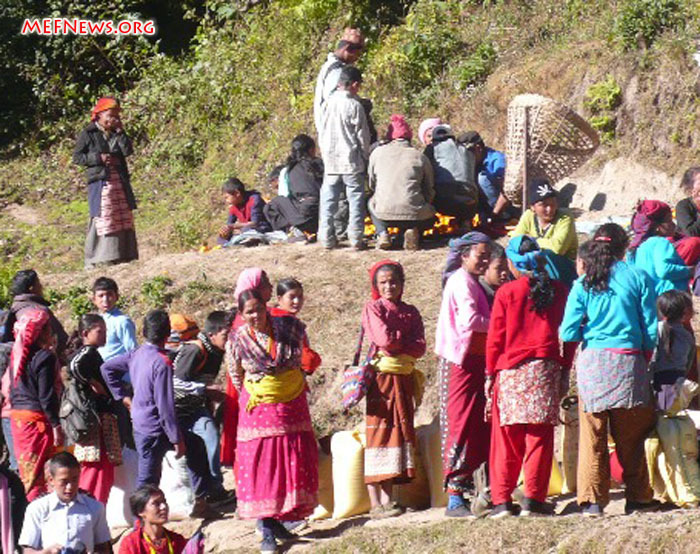 Now we’re on our way down to Deboche to visit the Deboche waterline project, which is currently being installed. 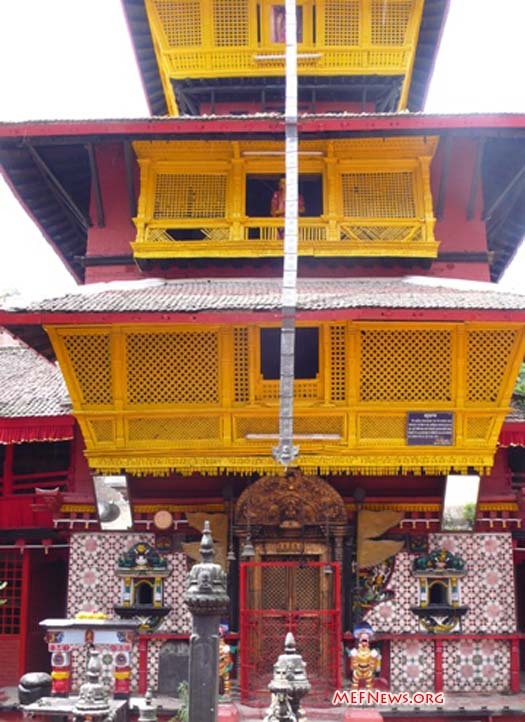 It’s a 1500 metre long water pipe, which comes from high in the valley and goes down to Nepal’s oldest convent, built in 1925, which currently has 12 sisters in residence. They’ve never had a water supply there before. They’ve always had to carry their water. I’d like to send a special thanks to Marcia MacDonald, Brad Grimsted, and Denise Laflamme and their family. A special thanks to Justin Dickinson from the Big Umbrella, who is making a film about all of this and he’s been working really hard. 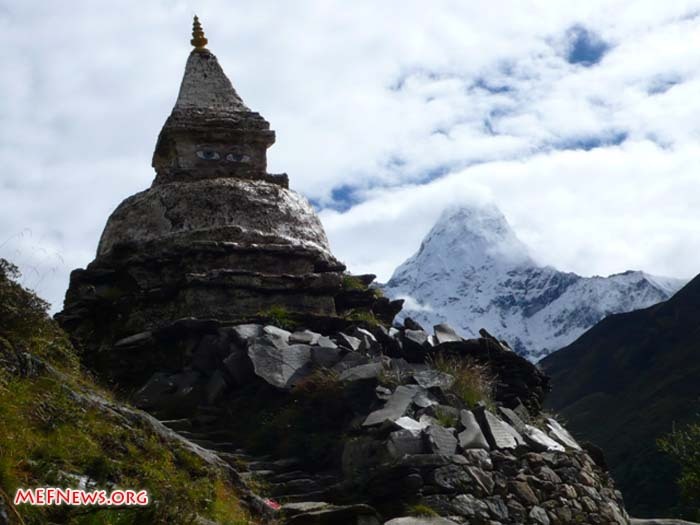 A stupa on the trail to Everest with Ama Dablam beneath clouds in the background. 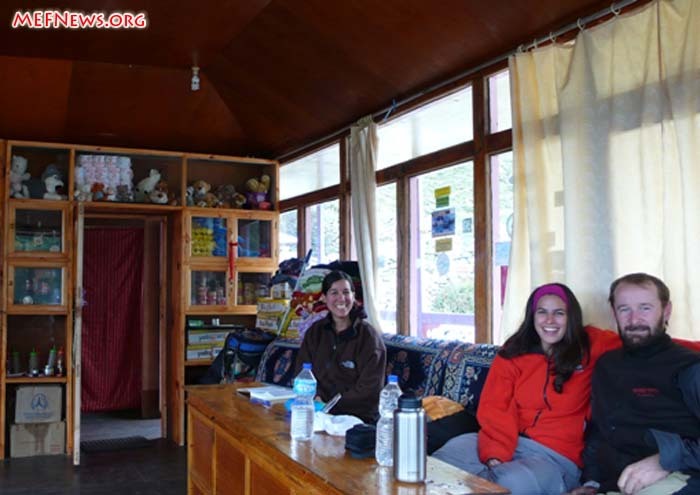 Elia, Elia, and Justin Dickinson from the big umbrella at Sonam lodge in Pangboche. 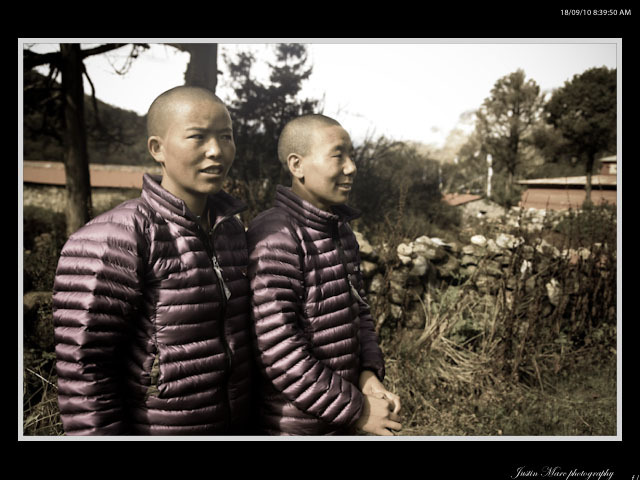 Mingma Sherpa and Murari Sharma at Sonam lodge in Pangboche. 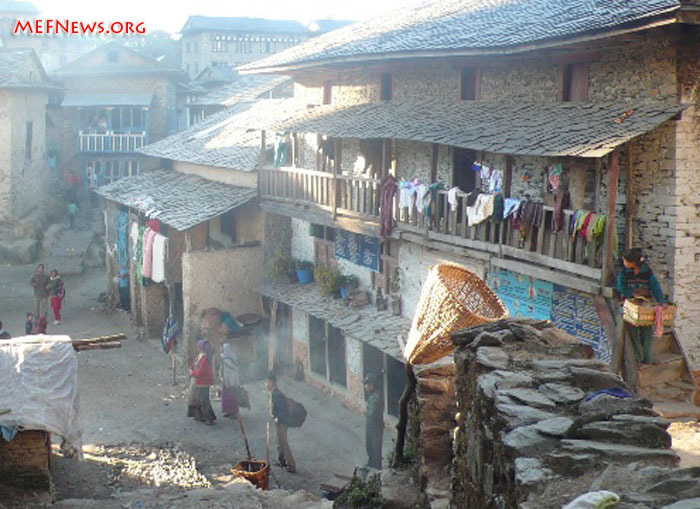 Pangboche village. 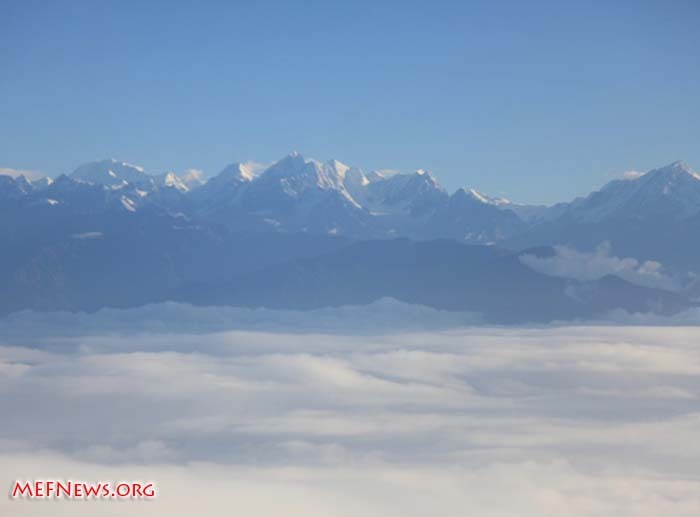 Everest, Lhotse, and Nuptse lurking in the clouds above. 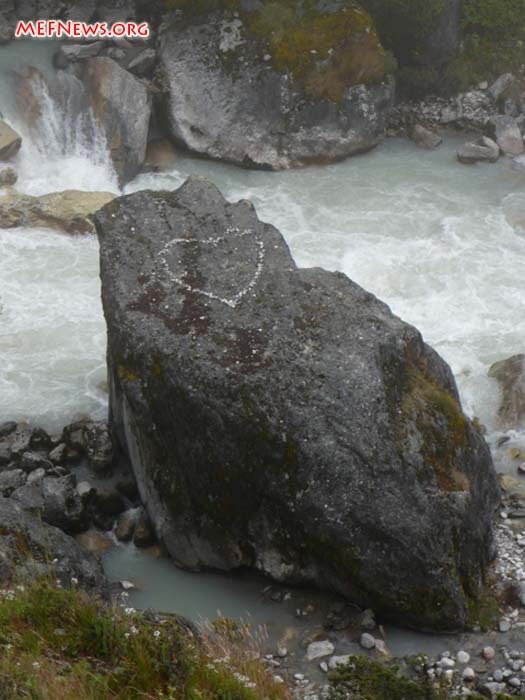 A romantic sherpa crawled out onto this boulder near the Dudh Khosi river and made a heart from pebbles. 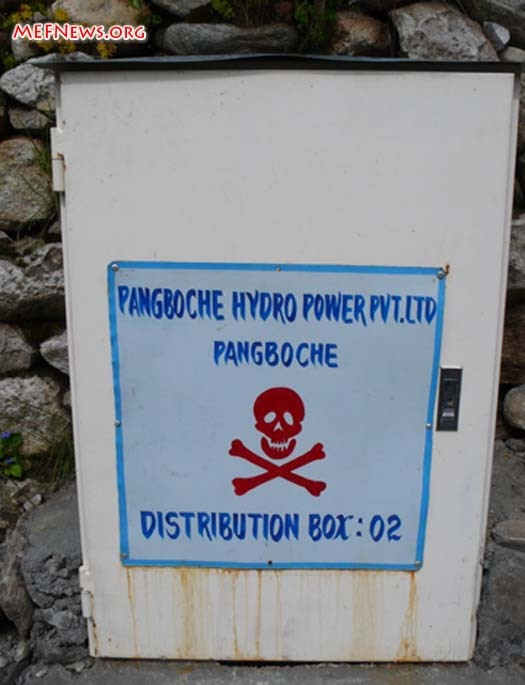 Pangboche village has hydro power. Actually it's not working at the moment as the turbine is being replaced (Dan Mazur). 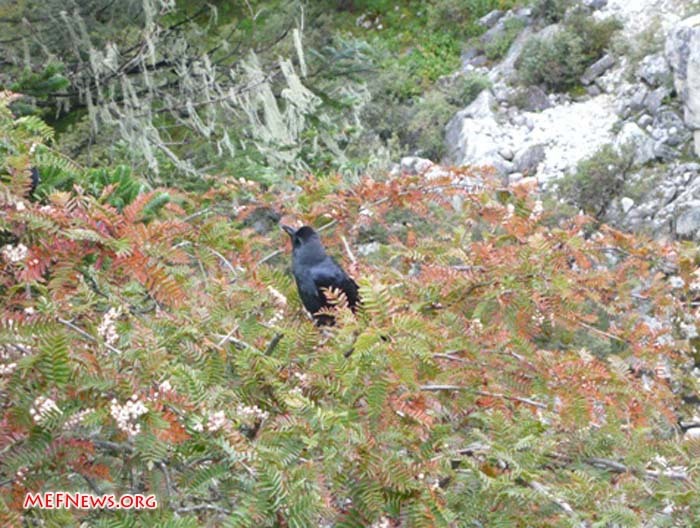 Raven sitting in an ash tree at the Pangboche bridge. 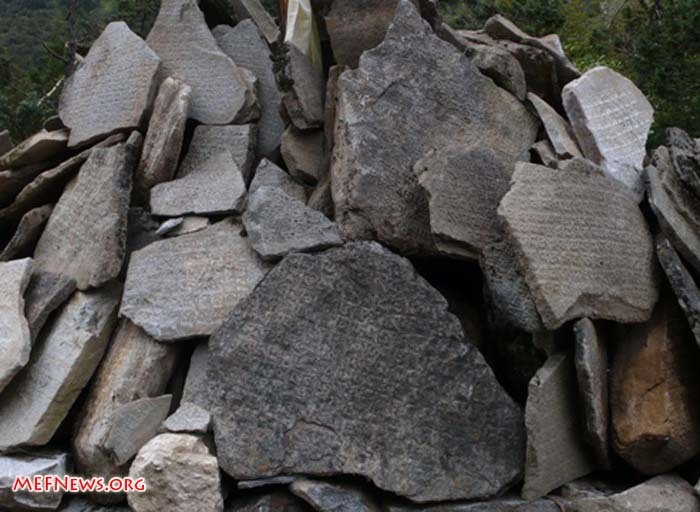 A heap of hand carved Buddhist 'Mani' stones along the trail to Everest. 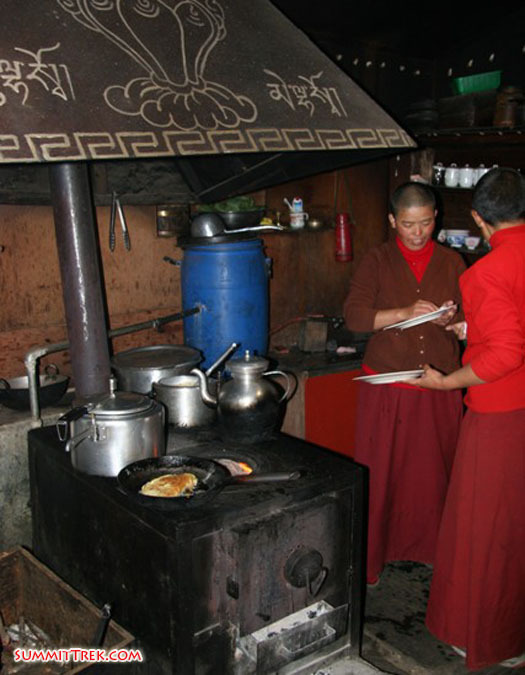 Cooking on wood in the kitchen at the Paradise tea house in Deboche. 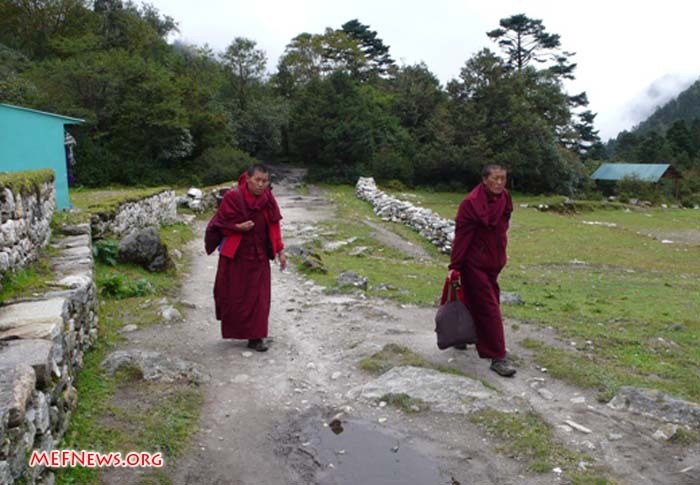 Deboche nuns returning from a trip to town. 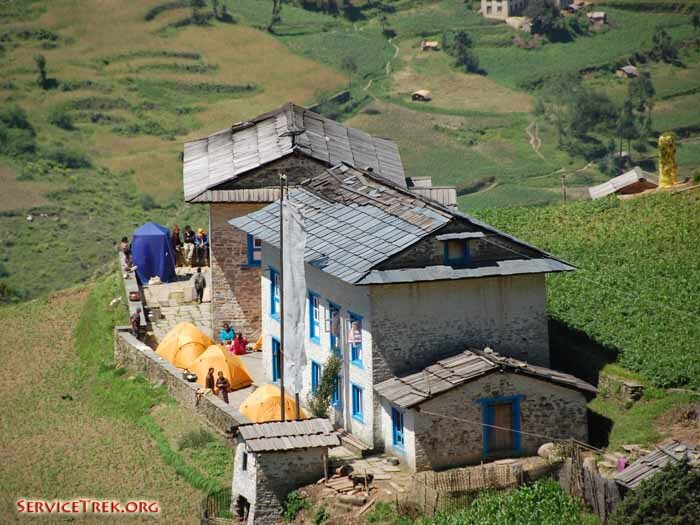 Deboche village below, red roofed nunnery. 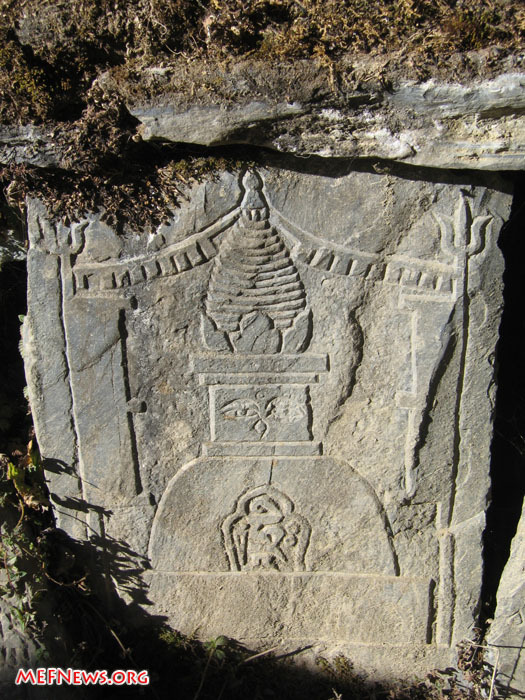 Tengboche men's gompa on top of hill. 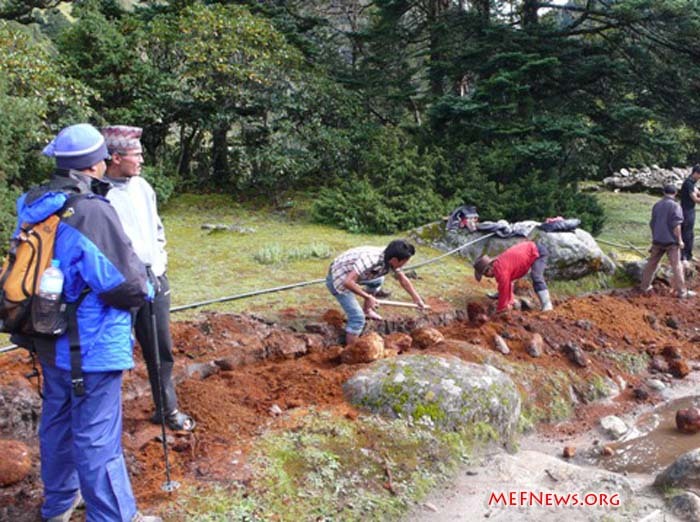 MEFSD director Murari Sharma and national park ranger Kharkhi supervising the workers digging in the pipe for the Deboche waterline project (Dan Mazur). 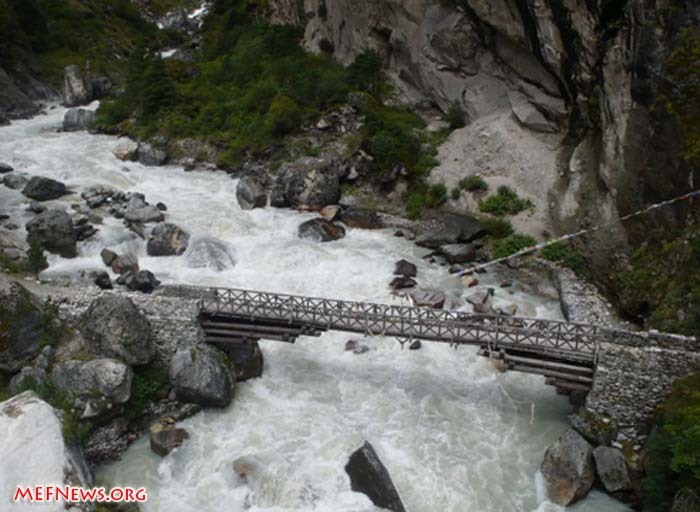 Wooden bridge over the raging Dudh Khosi river which comes from Everest. 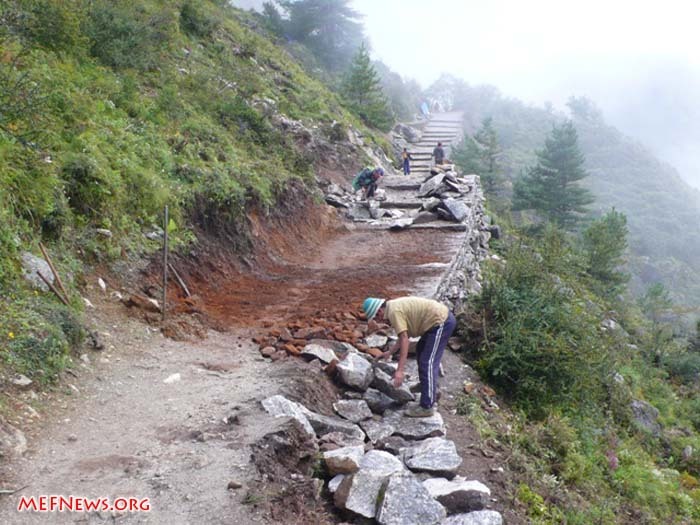 Workers building the most famous trail in the world to Everest basecamp. 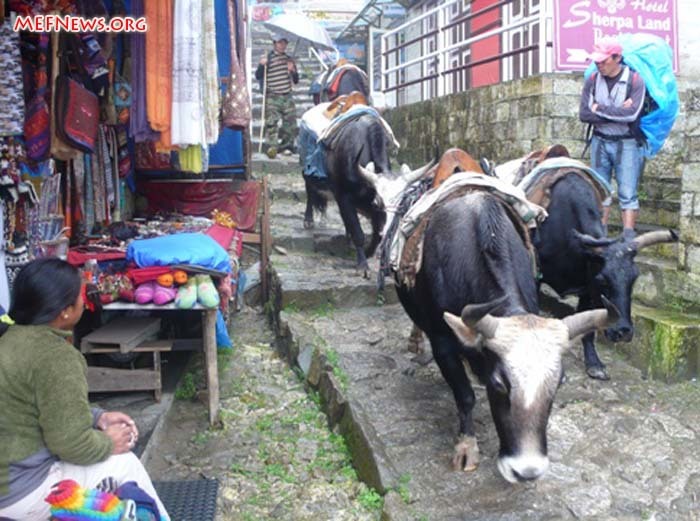 Yaks have the right of way on the streets of Namche. 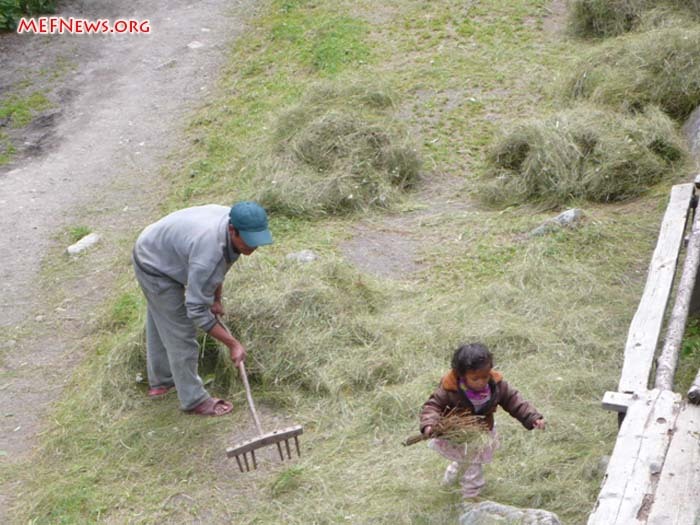 Father and daughter cutting grass to feed to yaks along the trail to Everest. 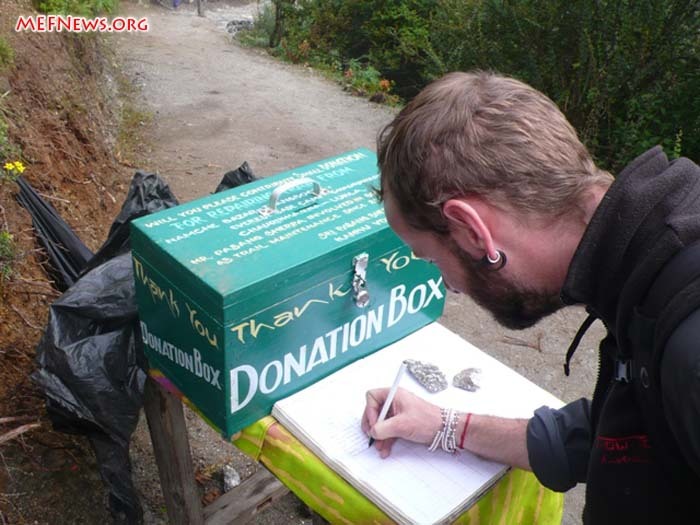 Justin Dickinson from the Big Umbrella makes a donation and signs the guest book for the trail building project on the way to Everest basecamp. 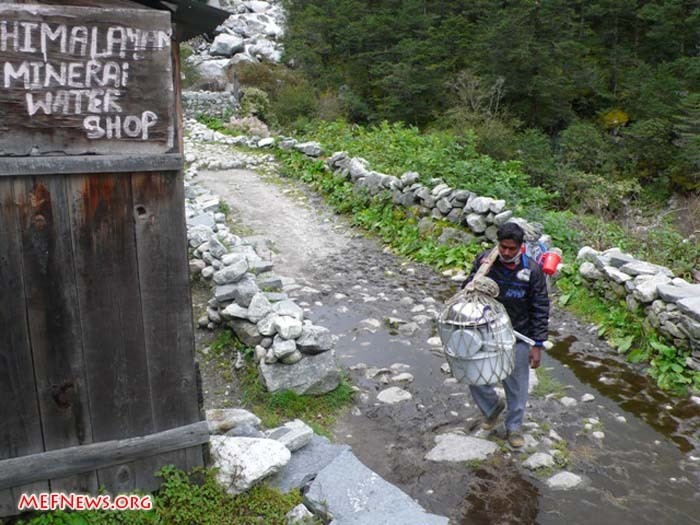 Kitchen ware peddler with loads on his shoulder suspended from pole wades the trail past the Himalayan mineral water shop (Dan Mazur). 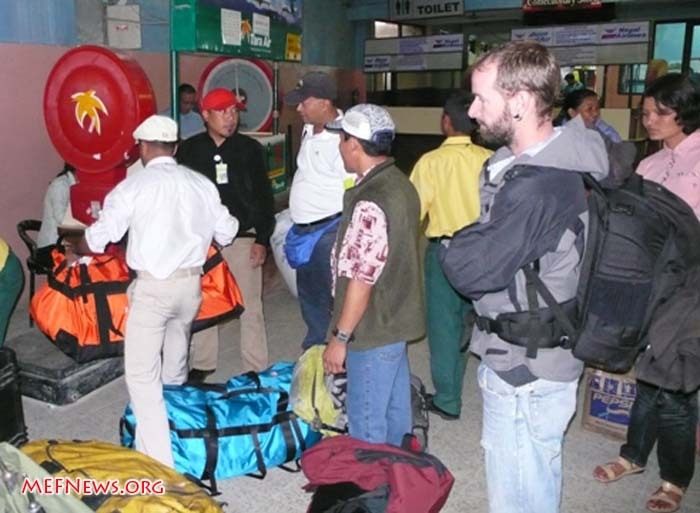 Yay, the big news is we finally reached lukla and it took several flights, but amazingly our whole team and all of their bags arrived. It was a cloudy bumpy couple of flights, but we got here! 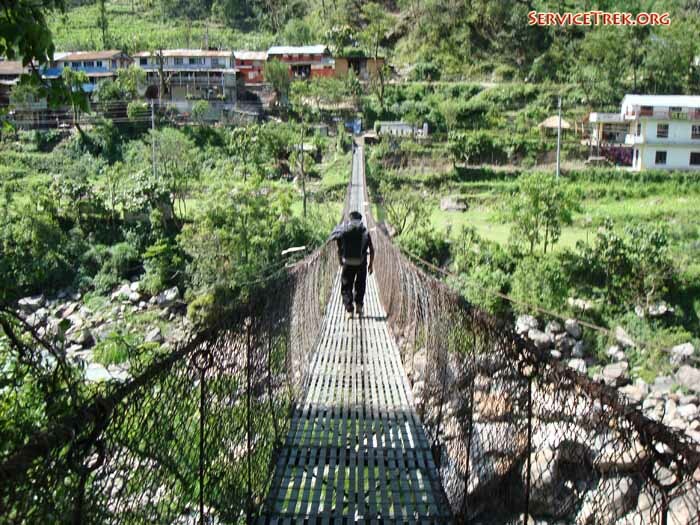 We stopped at lukla's Namaste lodge for lunch, then carried on downhill to the village of phakding. 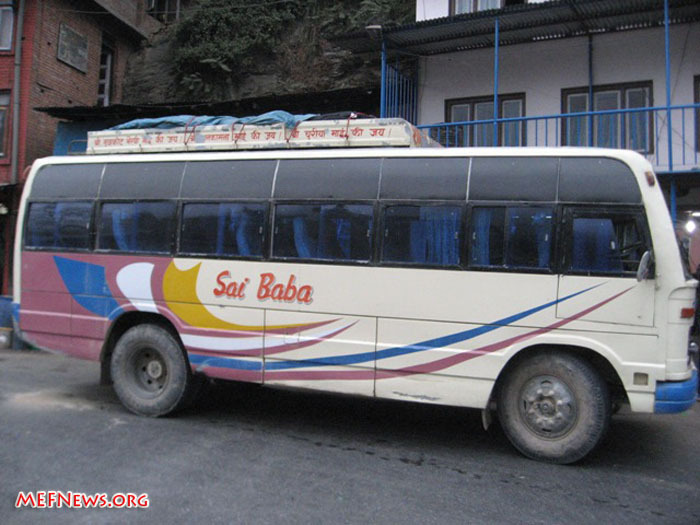 Our 15 pipe carrying porters for the deboche waterline project were waiting for us in lukla. 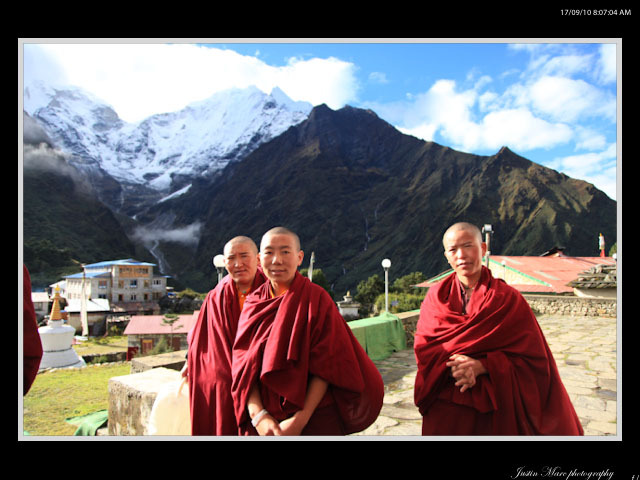 They had run out of food and money waiting for us in namche so they came down to lukla to get renewed. We were going to visit a biogas plant in muse, but decided that it was raining to hard to walk down and up the slippery trail. 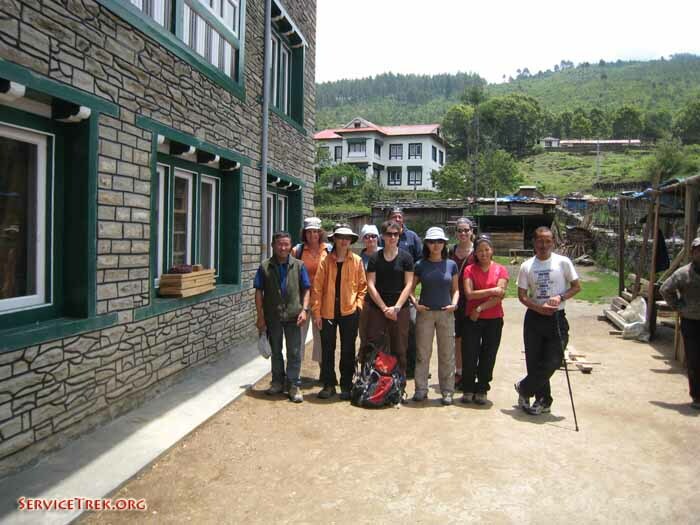 Instead we made it to the green village lodge, which is under renovation (this is the time to renovate things in the khumbu valley, before the tourists arrive) in phakding. The following morning we walked for 6 hours up the big hill to namche (3500 metres) to stay at the valley view lodge and had a welcome hot shower and delicious spaghetti dinner. 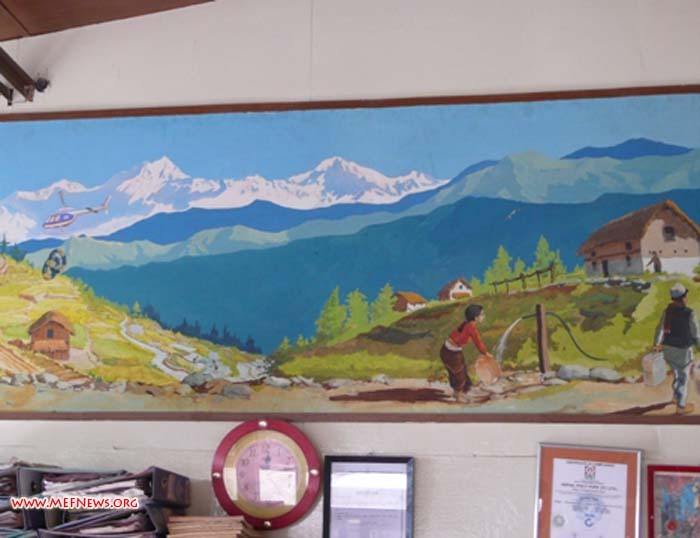 After a very good night's sleep we awoke in namche, had a delicious breakfast then visited the sagarmatha mount everest national park headquarters and sagarmatha mount everest pollution control committee (spcc) to discuss the mount everest biothermal energy project. We learned many things and collected a lot of data and most importantly we learned that these agencies are willing to work together to try and solve the waste problem and create "free" energy for the local people, from waste coming from everest basecamp. 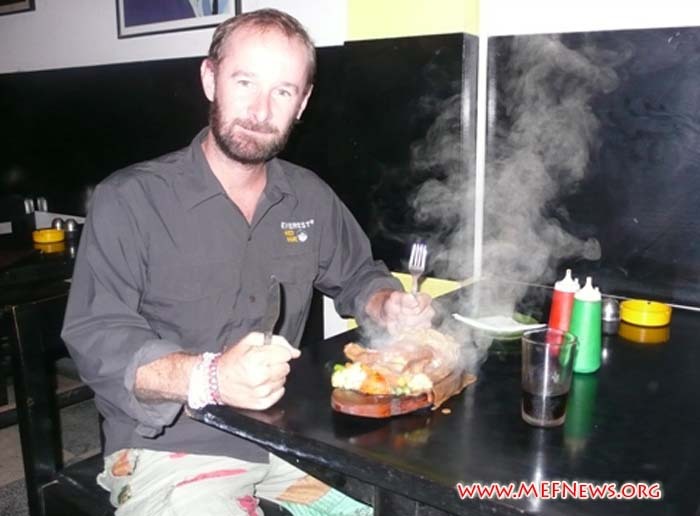 Justin Dickinson from the Big Umbrella finishes off the day with a good sizzling steak at the Comfort Inn Hotel Noors Restaurant in Kathmandu.Trekkers and zopkioks (yak-cow cross breed) on the trail to Everest. Yeah, we finally reached Lukla on a rainy cloudy day. 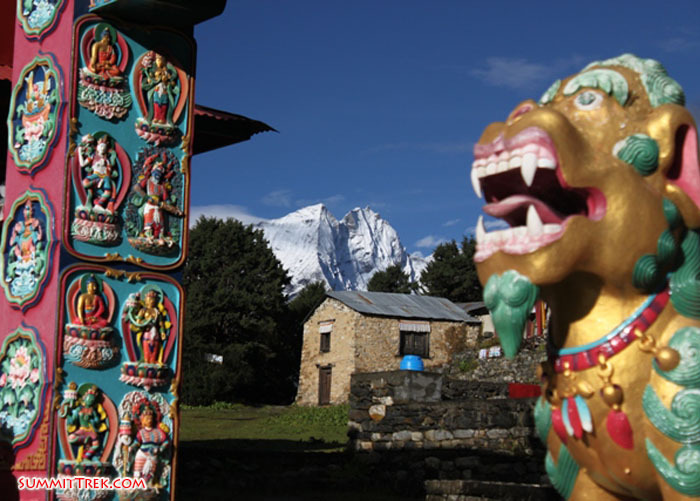 Entrance to Sagarmatha Mount Everest National Park on the trail at Jorsalle Village (Dan Mazur). Today's dispatch is via SMS due to lack of electricity, thus no email. Guess what? We've all arrived in Lukla safely. It was very lucky, as we headed here in between rain storms and clouds. Somehow we all arrived here in time. Just after our final flight arrived, a huge storm swept across and blocked the airport for the rest of the day. 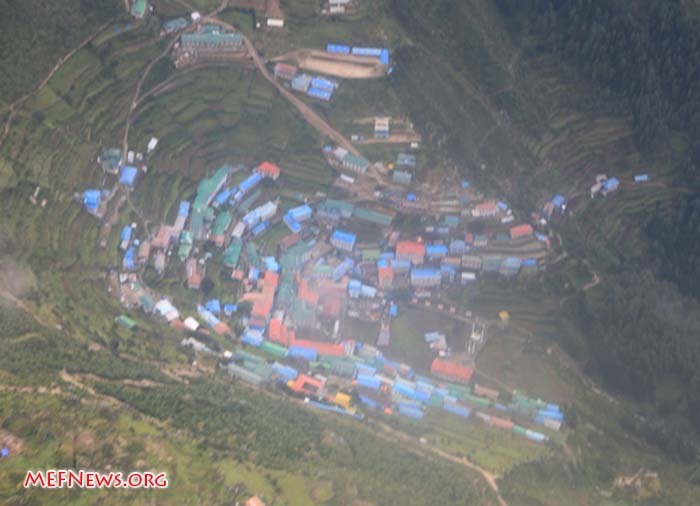 Aerial view of Namche. Cho Oyu the big mountain on the left seen from the flight to Lukla (Justin Dickinson of the Big Umbrella). 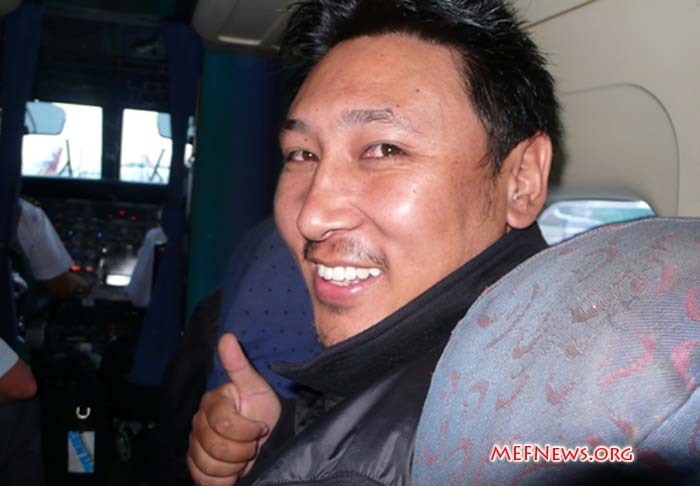 Mingma on board the flight to Lukla. Mt Kwangde and Mt Numbur, two 6000 metre peaks tower above the clouds on the flight to Lukla (Dan Mazur). After a day of sitting around quietly waiting to fly to lukla, to no avail, we went on a mission for Jon Kedrowski and Sonya Remington of the Everest Water Quality Project. They are very concerned that human waste from MT. 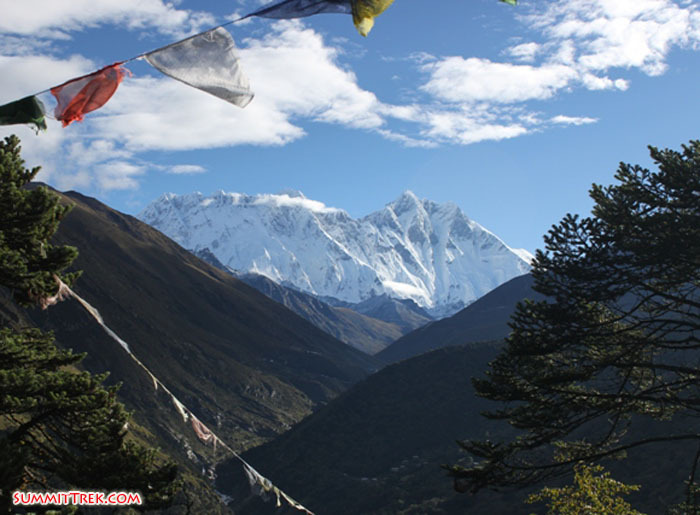 Everest Basecamp is polluting the drinking water shared by sherpas and tourists alike. So, today, MEFSD Director Murari Sharma visited Dr. Amresh Karmacharya to learn how to test the drinking water in the Mt. 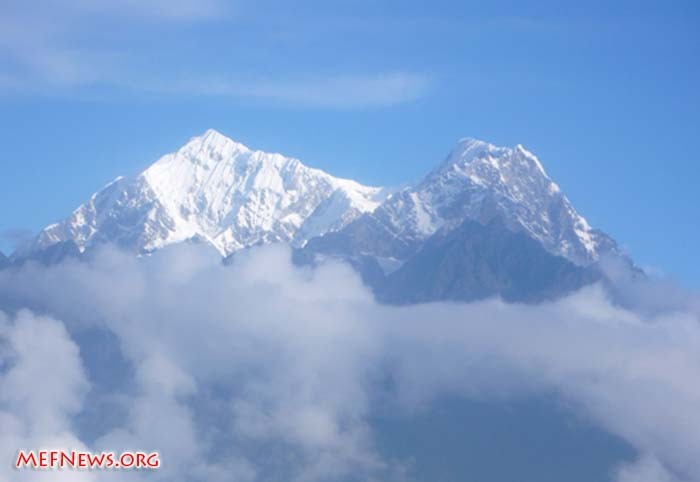 Everest Area to ascertain whether or not it is contaminated with human waste. 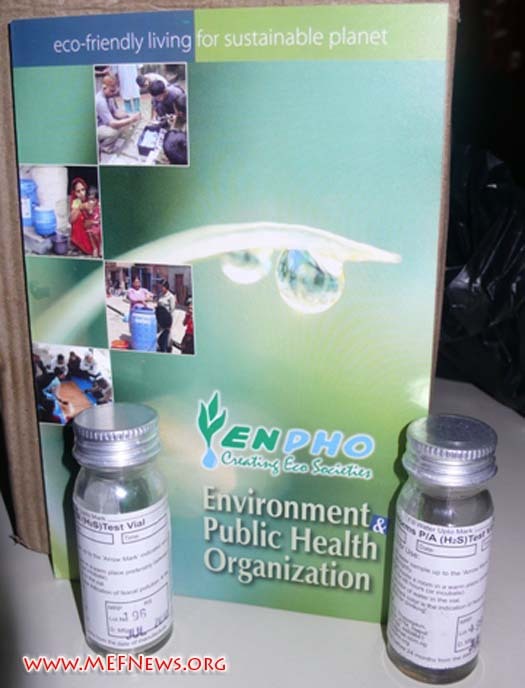 We went to the offices of Enpho-Nepal: the Environmental Public Health Organization. 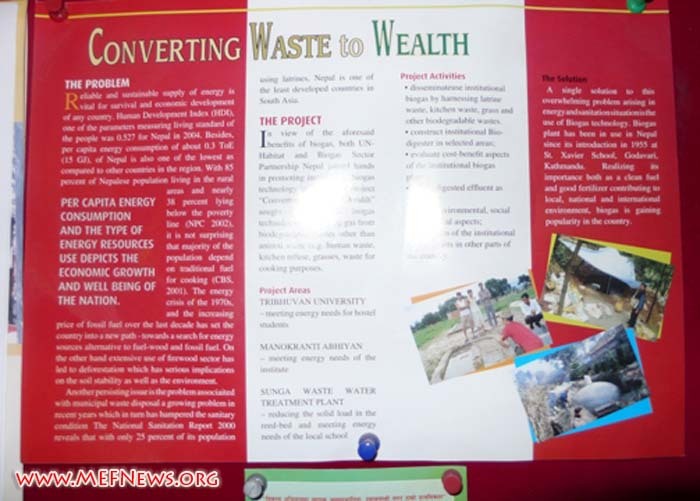 Converting waste to wealth, use of biogas on dislay at Enpho. 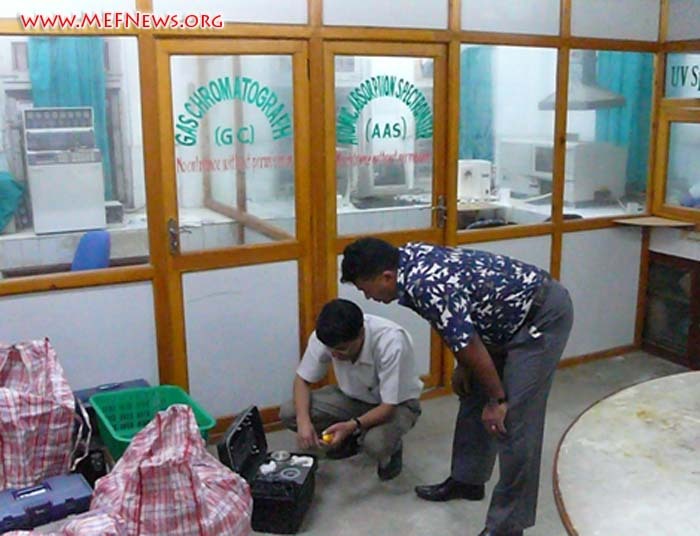 Dr. Karmacharya and Murari Sharma, MEFSD Director examining portable water quality test kit in the Enpho lab. 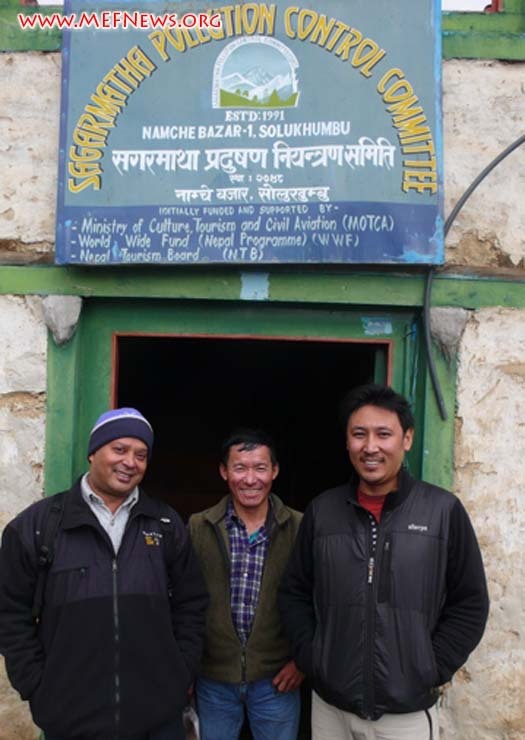 Enpho stands for 'environmental and public health organisation' and here are two of their coliform test vials we are taking on the mt.MEFSD director Murari Sharma with Jangbu and Mingma Sherpa outside the Sagarmatha Mount Everest Pollution Control Committee (SPCC) office in Namche (Dan Mazur). (Justin Dickinson of the Big Umbrella). Weighing bags inside the domestic terminal at the Kathmandu airport. Early morning mayhem at the Kathmandu airport. 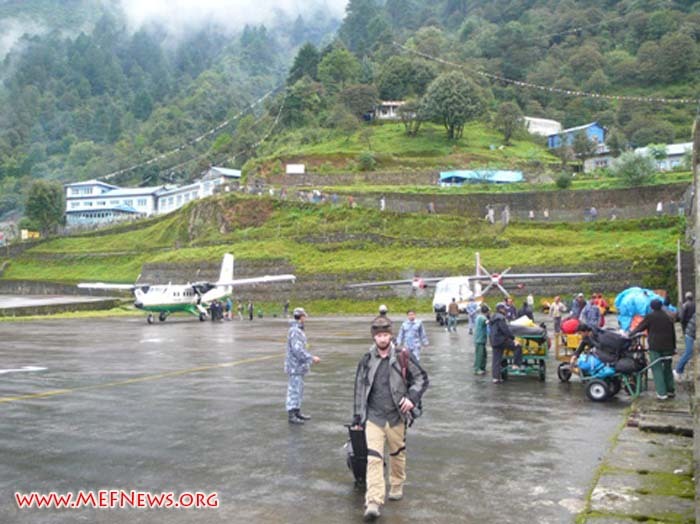 Flight attendant and passengers prepare to board flight to Lukla. 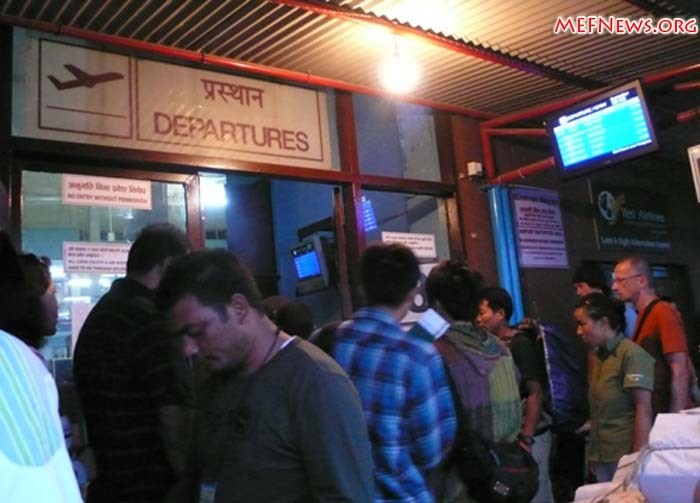 Mahendra from New Legend Travel with Murari, director of MEFSD, at checking desk for Lukla flight. 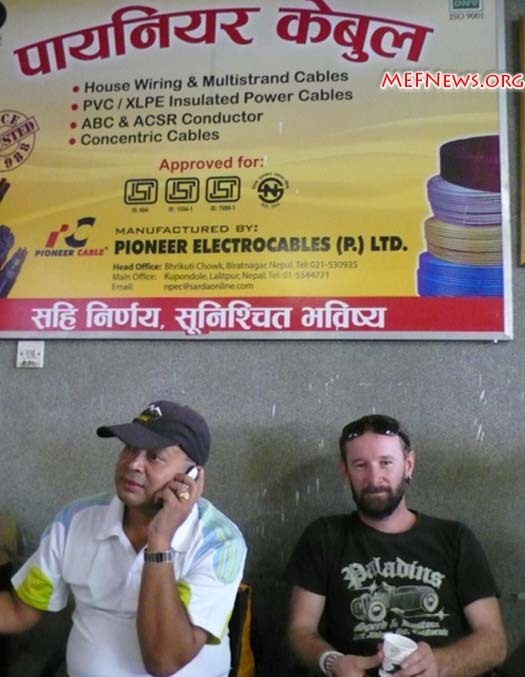 Murari Sharma, director MEFSD, and Justin Dickinson, film maker from the Big Umbrella in the waiting hall beneath an advertisement for electrical components in Kathmandu airport (Dan Mazur). 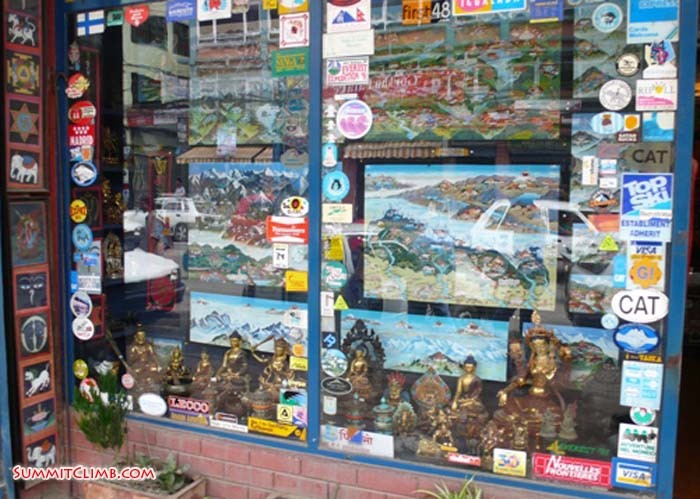 Well today was our fully packed equipment shopping day for our walk to Everest Basecamp. It was ostensibly our last day in Kathmandu as we are supposed to fly to Lukla tomorrow, fingers crossed that the airport is open. We zoomed all around town shopping and buying necessary clothing items, shoes, head-torches, snacks, etcetera, in a mad rush. We also met some old friends like Heather Daniels who advised us about Buddhism and what it is like to live at the Deboche Nunnery. A mom and her son buy stuff from the shop below our hotel in Kathmandu. It's called the Beijing Hotel and used to be called the Nepa International. The big umbrella film maker Justin Dickinson with the shop owners of TT Trekking. 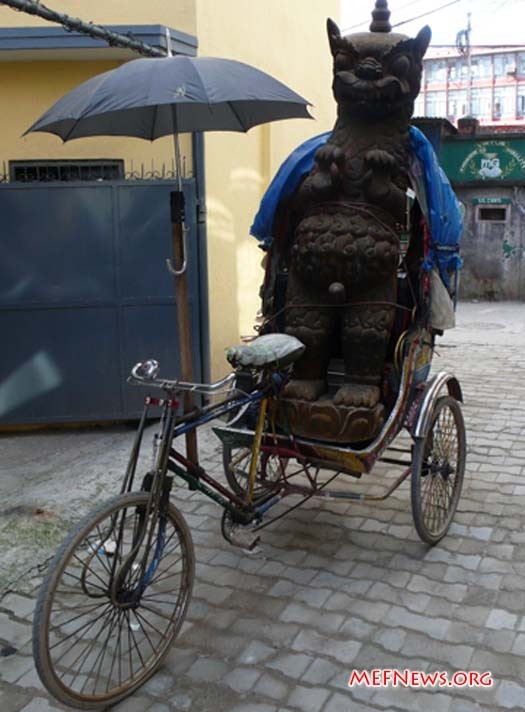 Interesting rickshaw load in Kathmandu. 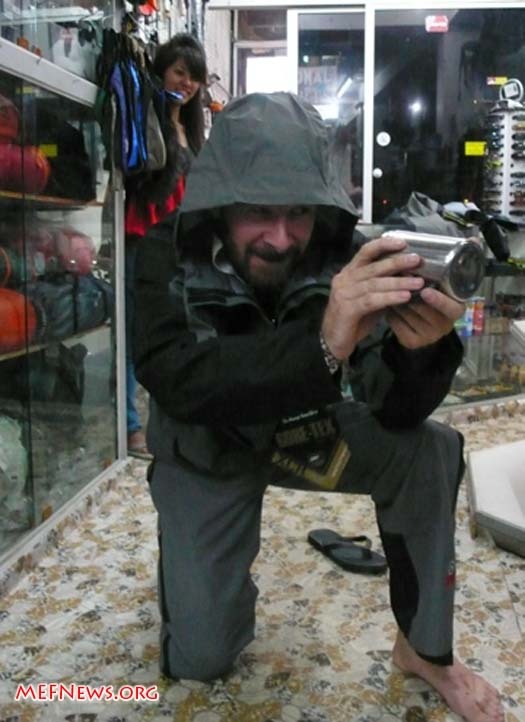 The big umbrella film maker Justin Dickinson strikes a pose while trying on waterproof clothing at TT Trekking store in Kathmandu. 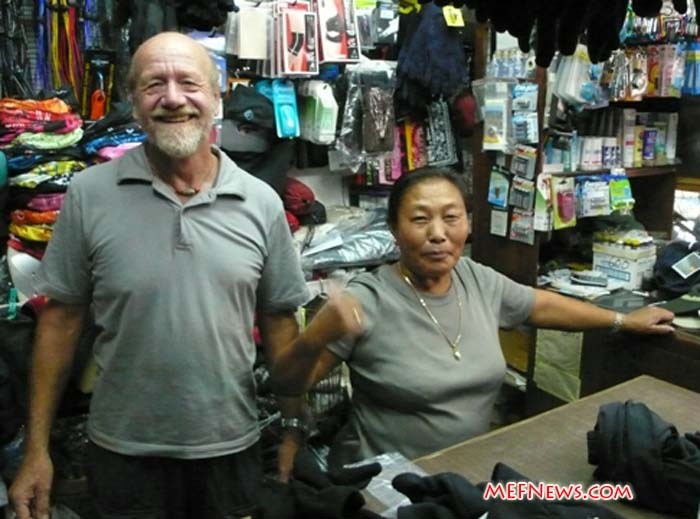 The good people at Shonas Shop in Kathmandu (Dan Mazur). Letter from Dan Mazur to one of the generous patrons of the MEFSD, Kharis Fausset. Dear Kharis, Your recent email is perfectly timed as we are preparing the list of Depoprovera shots needed. 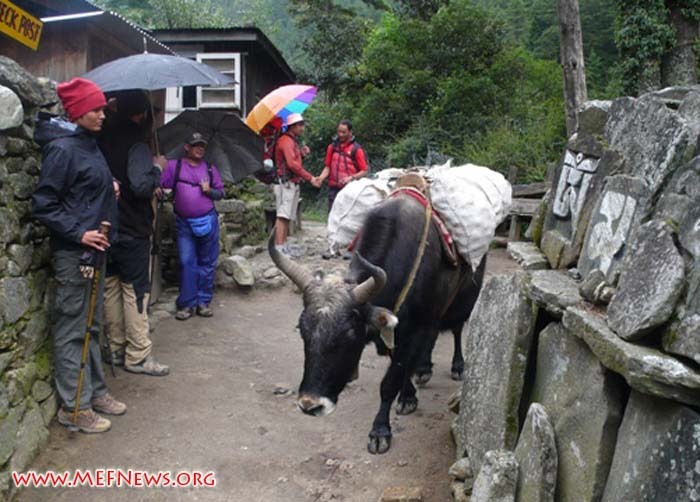 Pasi Sherpa, the chief health worker has not mentioned them on her recent medicines order, so we have sent a porter into the field with a note for Pasi, to update us on the situation with the depo shots. 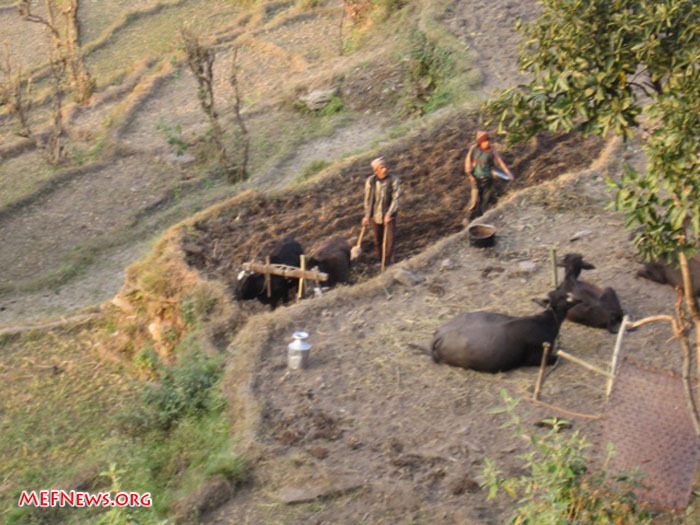 This is the kind of situation we often have to deal with in remote Nepal, lack of communication for various reasons. Those shots are super important to stem the tide of the birth explosion which is currently raging out of control with 2/3 of Nepal's population under 30 and 2/5 (40%) under 20!!! 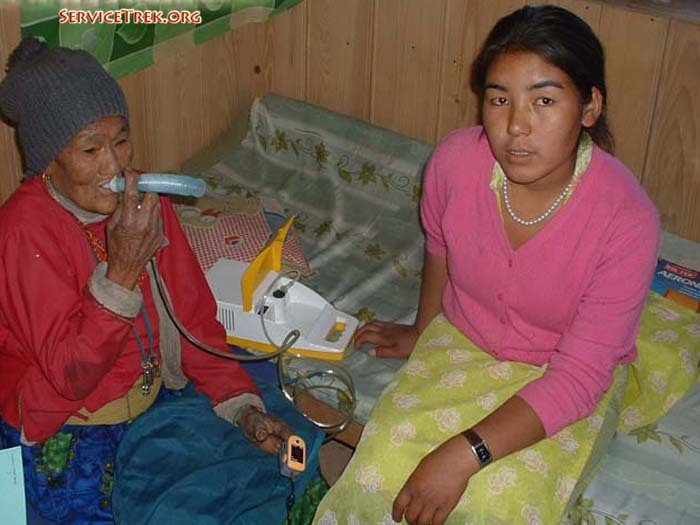 Additionally thanks to the generous help of our former Service Walk member Christy Theusen, Dati Sherpa, our young nursing student from the village has recently had a big success in her life. She was admitted to an internship program at the Patan teaching hospital's new birthing unit. 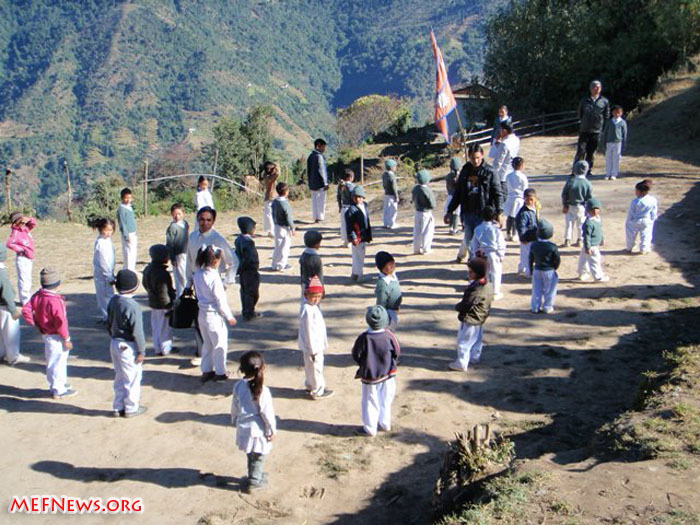 It is very competitive to gain admission there and we owe a debt of gratitude to Marianne Heredge at Rural Assistance Nepal. Dati will be enrolled for a month and have an opportunity to extend to two months. 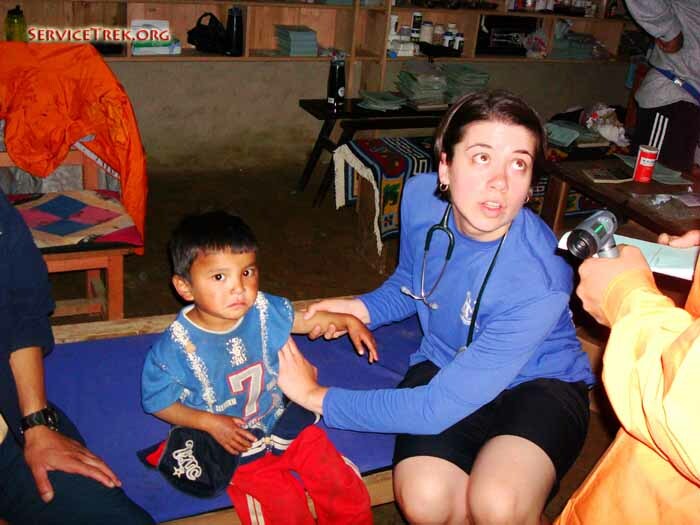 This is a real coups for the Patale Health Clinic as they have desperately been wanting to have a trained staff person available for childbirth, especially someone who could be knowledgeable in complicated births. 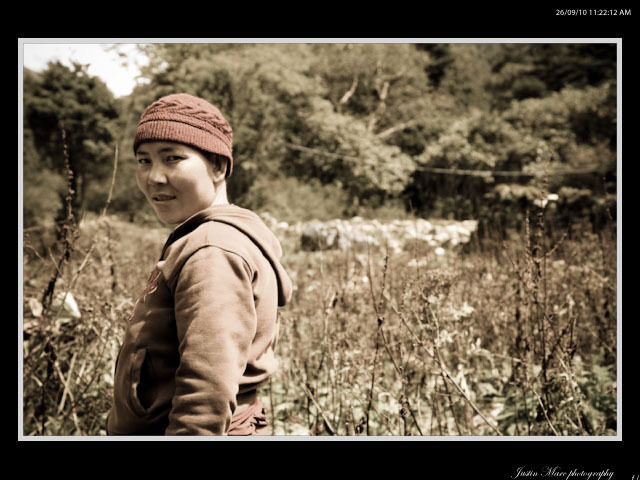 Dati Sherpa, certified health worker in Patale village (Deha Shrestha). Dati and Yangie Sherpa working on a letter to Katharine Peacock, Dati's sponsor, who so kindly paid for Dati's nursing school, in memory of Jonathan Peacock (Dan Mazur). In some more bizarre news, we have heard a report that the young lad named Pasang who Elaine Smith helped to get his bow legs straightened may actually be 19 years old, rather than 14!!! He is so small, just 22 kilos, its hard to believe he could be 19. 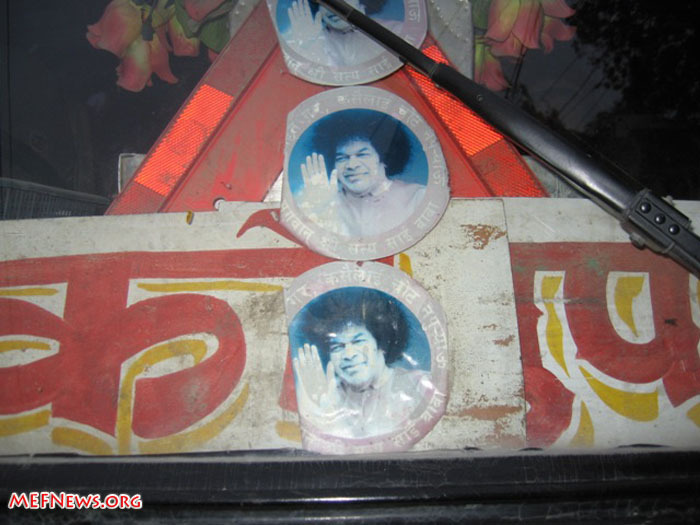 Ah well, another example of Nepal's confusing communications. Pasang, not able to walk under his own power when we brought him to Kathmandu in June 2009 (Chu Trandinh). 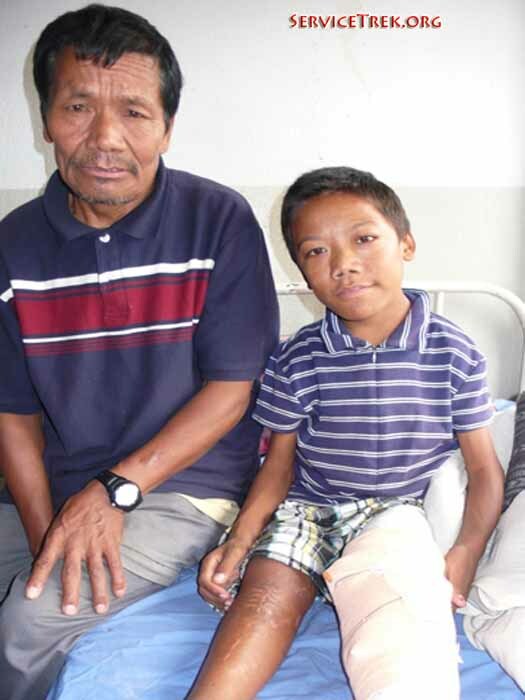 We haven't heard from Binod, the boy with the burned toes who had toe straightening surgery last year, and we plan to trek through his village in November. You know, his burned toes started an odd chain of events. At the encouragement of Sandy Murray and Barbara Trenary, we approached a group of engineers called EWB, in order to ask them if they couldn't design a safer stove that children couldn't burn themselves on, not to mention the smoke was very bad for everyone's lungs and shortening their already short lives. Closeup of Binod, the 2 1/2 year old burned toes boy. A closeup of Binod's feet, which need advanced critical medical attention (Dan Mazur). 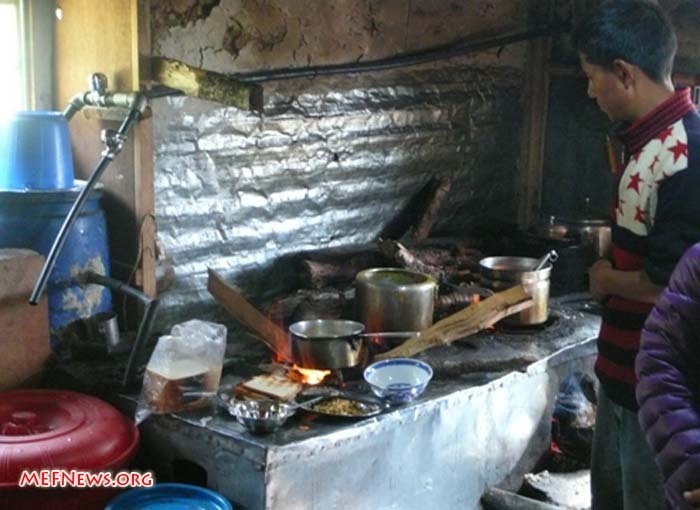 The upshot of it was the engineers suggested the locals should quit cooking on wood entirely as it causes severe respiratory illness, not to mention burns. Instead, the engineers said the locals could make their own cooking gas by fermenting manure and other rubbish that often just ends up getting thrown into the river. 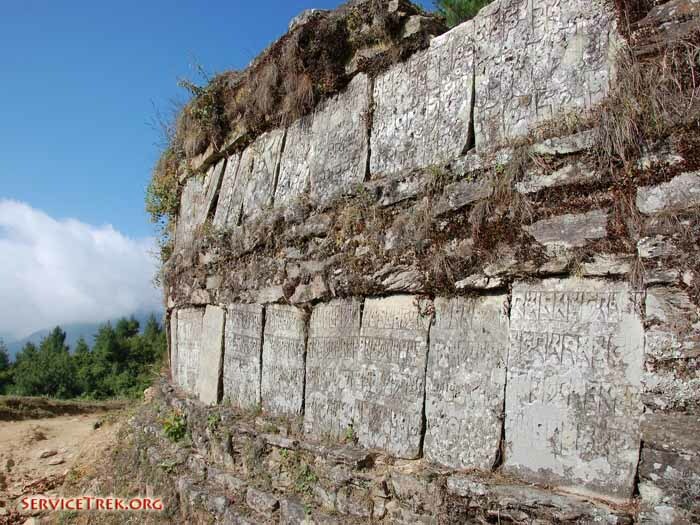 So we are beginning to study that possibility now, and the engineers have an idea to do it at Mt. Everest Basecamp as a way to raise awareness. Apparently there is a lot of human waste at Mt. Everest Basecamp that might potentially be made into this so called "biogas". Oh yes, Nima, the deaf girl with no ears has become a star pupil at Kathmandu's deaf school and we are very hopeful she might someday be a candidate for the "baha band", apparently a type of hearing aid attached to the skull for children like Nima who have no ear canals, but they do have the ear drums and everything inside their heads, so this "baha band" device, could conduct sound through the skull bones to her ear drums. We know Nima has ear drums as we sent her for a cat scan and the scan shows it. Also, Nima can hear sounds. If you stand behind her and shout, she turns her head and tries to see where the sound is coming from. If we could help Nima to hear, she could learn to speak. Right now she makes some really bizarre barking and groaning noises. Everyone, including her teacher can see that Nima is sharp as a tack; she is top of her class, and she is only 7 years old and a real cutie-pie kid. Shelley Bloom was working on this and we would LOVE to hear from Shelley again so Nima could get help. Nima Tamang at the school for the deaf in Kathmandu with Sonnia Karlsson presenting gifts brought over from Barbara Trenary (Murari Sharma). 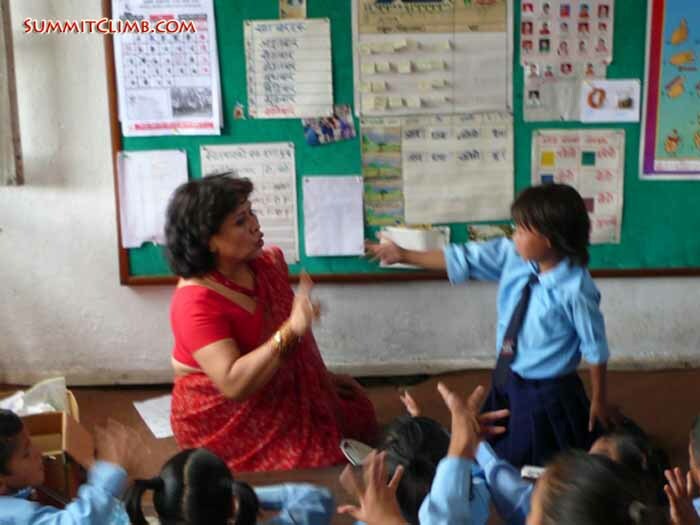 Nima and her teacher conversing in sign language (Dan Mazur). Well Kharis, I am so sorry I have rambled on far too long, but there really is so much going on on the medical side of the Mount Everest Foundation for Sustainable Development. Now, let me tell you about the education side. The big news is that we built a new high school for 300 kids in a valley where there was no high school, so any kids who entertained the thought of going had to walk for 2 days to get to the nearest high school, so none of them went. The grand opening of the new high school is in November and we are very very excited and nervous as we never built a new high school before. Apparently it's already in session and classes are being held in there. 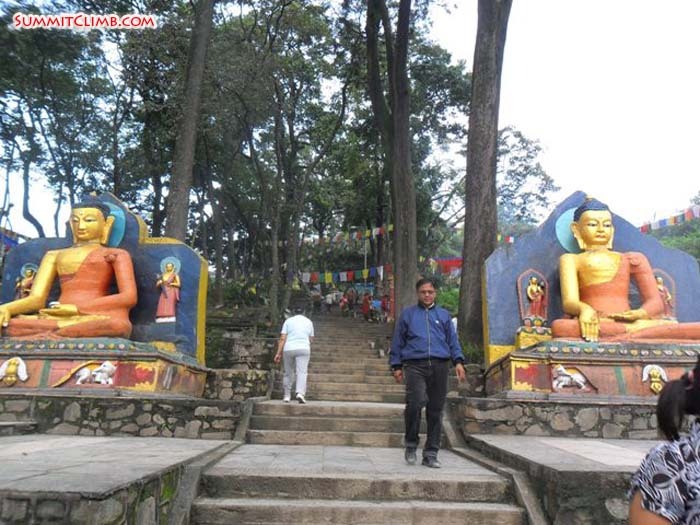 We know it has been built as some locals took some pictures on their mobile phones and brought them to Kathmandu and showed them to us. The other big news is that 4 local village girls have volunteered to become teachers. This is very huge as no local person has ever been a teacher in the village before. The teachers always came from far away and rarely stayed. Now we just have to figure out how to encourage these girls to stick with the programme and make it from class 4 to class 12. It's going to be a real challenge. 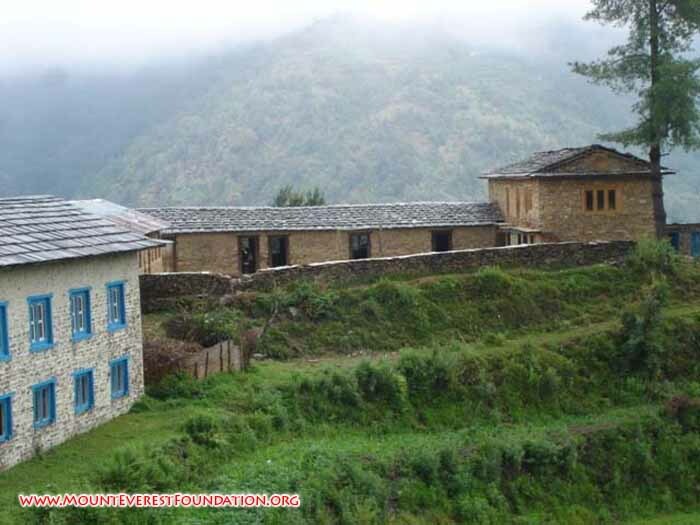 Well now I really am rambling so I have to be going as I only have three hours to pack my bags before our flight up to Lukla where we will walk a week to the Deboche convent and our team is installing a 1500 metre waterline at Nepal's oldest convent, built in 1925, which is now home to 12 sherpa and Tibetan nuns. You could read more about it at http://www.mefnews.org/ . Girls studying in the new high school. Three of these girls want to be teachers. 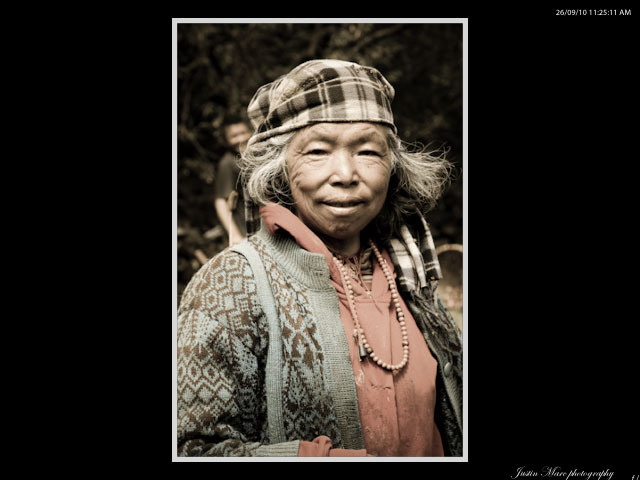 Photo: Jangbu Sherpa. Overhead view of students, learning in the new classroom. 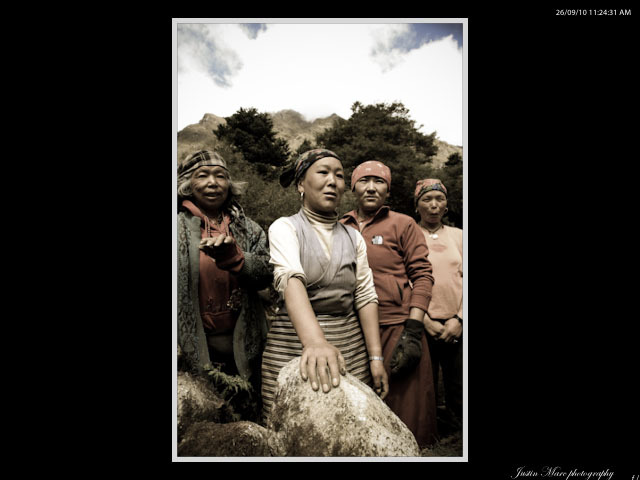 Photo: Jangbu Sherpa. The two storey building on right is the new high school. Thanks again for your wonderful generosity and concern and I will be in touch very soon. Lots of rain here. 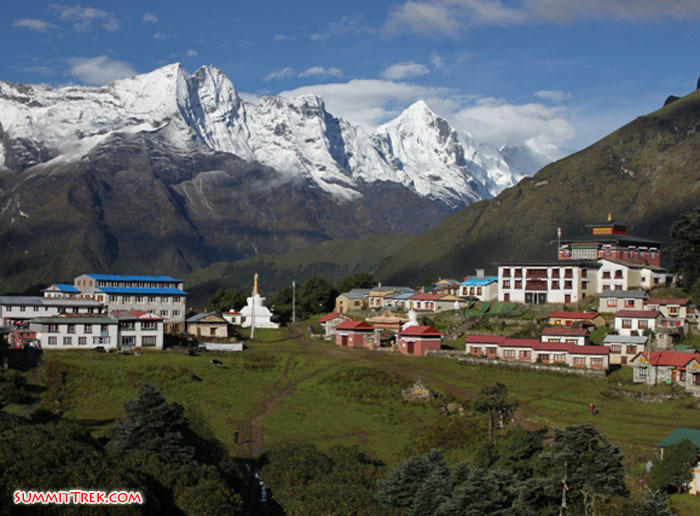 Everyone is in suspense...will we be able to fly up to Lukla on Friday to begin our Deboche Waterline and EWB Everest Biogas Trek? 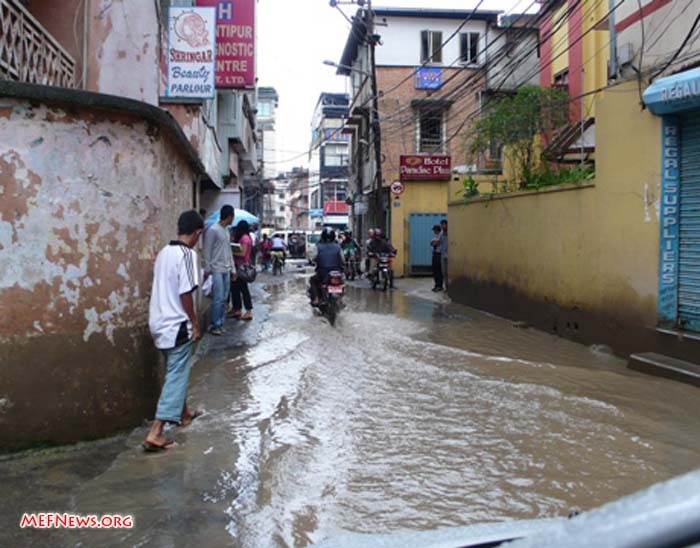 Flooded street scene in Kathmandu. 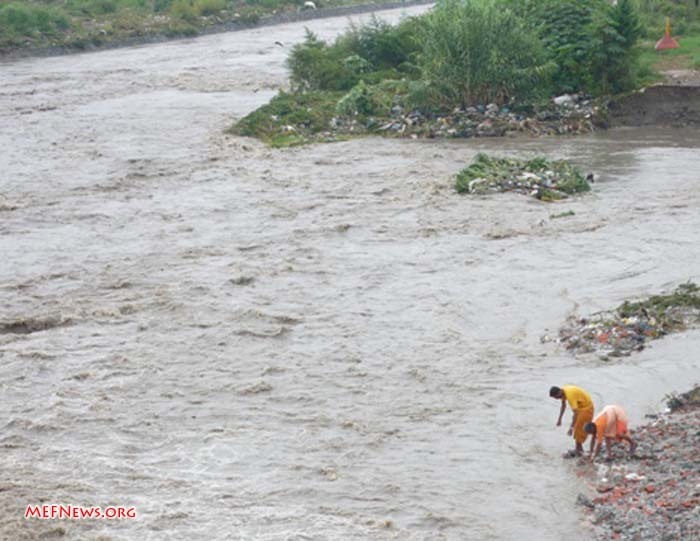 Heavy monsoon rains in Kathmandu have produced torrential lakes. 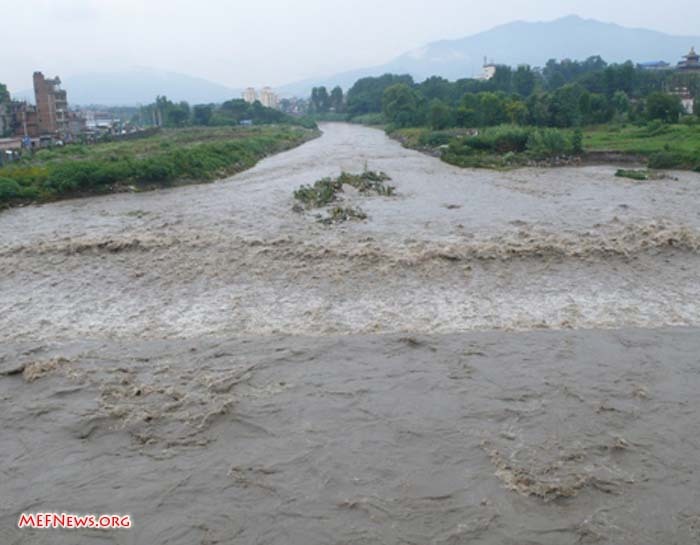 I have never seen Kathmandu's Baghmathi River so engorged. 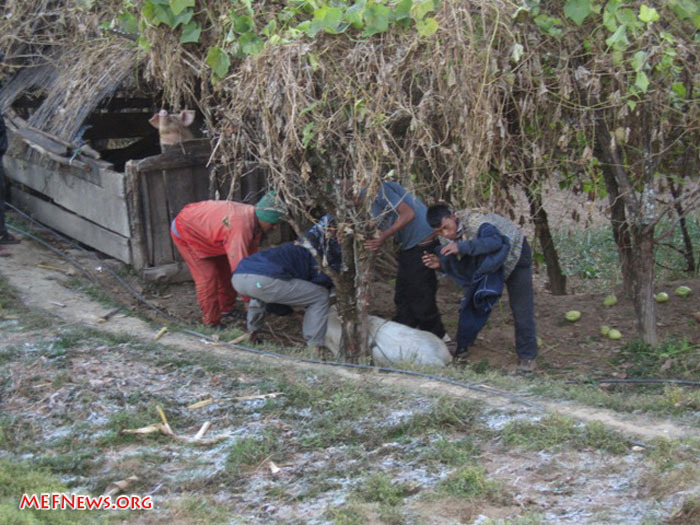 Local villagers struggle to stem the flood. Mingma at Krishna's pipe-fitting shop (Dan Mazur). Lainchour Mandir. 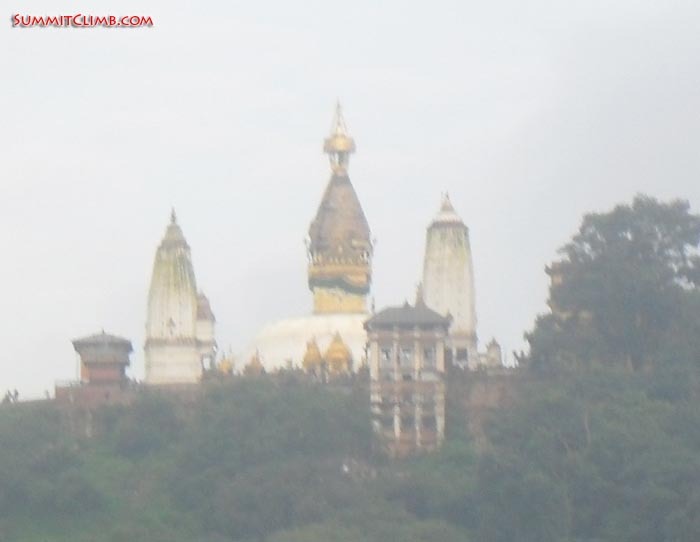 They say the Nepalese invented the pagoda. 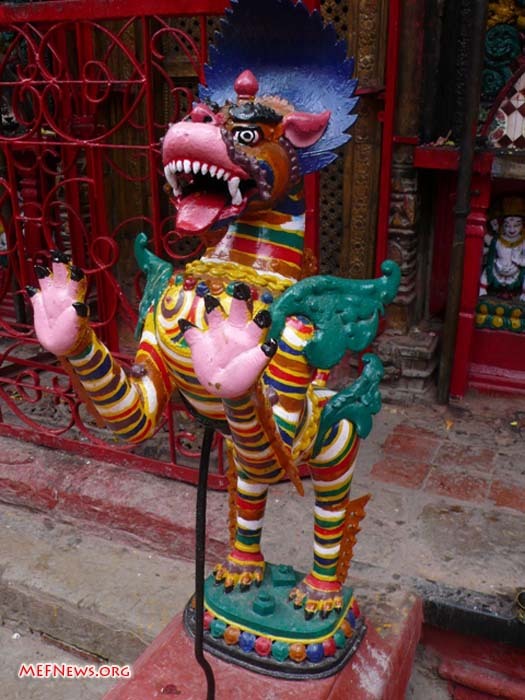 Lainchour Mandir fearsome dragon statue. Lainchour Mandir ornate temple doorway (Dan Mazur). 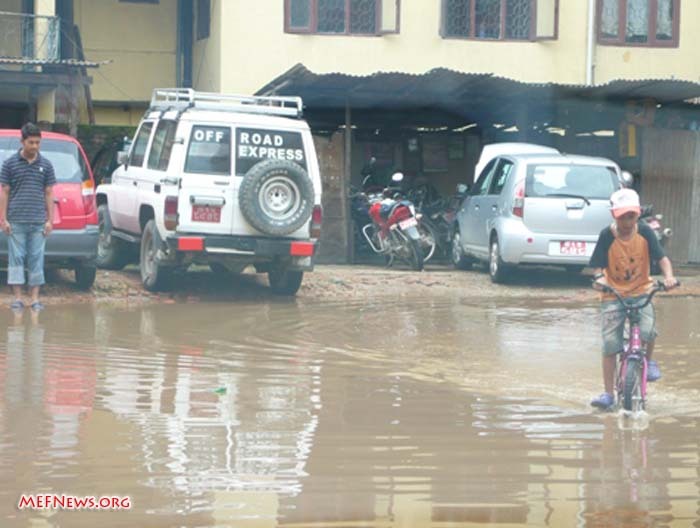 Latest news: lots of rain has been falling so the road has washed out so porters may have to cary all of our luggage through several roadblocks. It should be very "interesting", so keep watching http://www.summitclimbnews.com/ ! if you have any questions or comments for the team members, leaders or staff, please email us at info@SummitClimb.com or check our facebook page. Thanks and Welcome to our team! http://www.mefnews.org/ : Mount Everest Foundation for Sustainable Development (MEFSD) Deboche Waterline News: Mingma Sherpa met with Maila Sherpa and Murari Sharma, then we visited the HISI plastic pipe production facility with Mingma and Yangjie and Jangbu Sherpa. 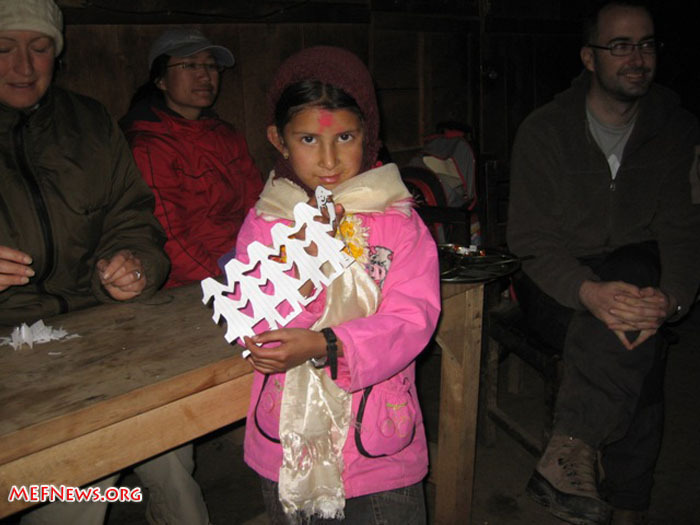 It was a very educational trip and I include photos which show that Nepalese do know how to use plastics and high-technology. 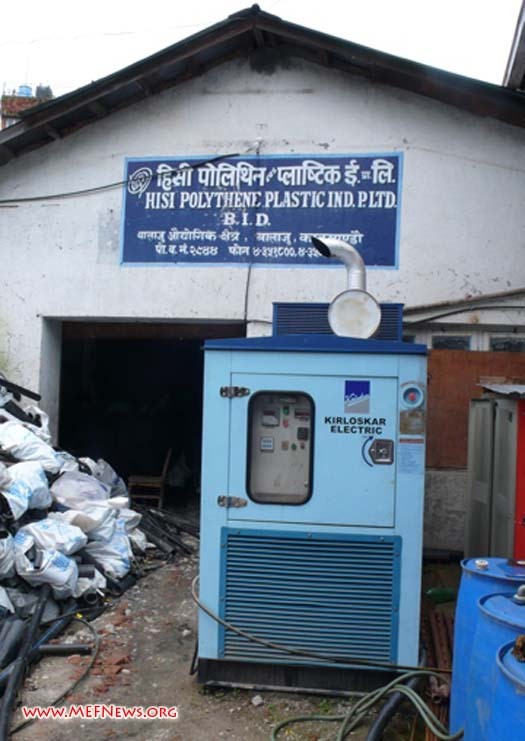 This technical knowledge and confidence in the Nepalese plastics industry is going to be very important in our forthcoming EWB Everest bio energy project. Getting back to the waterline project, unfortunately we have discovered we now need 1.5 kilometres of pipe and 20 porters. 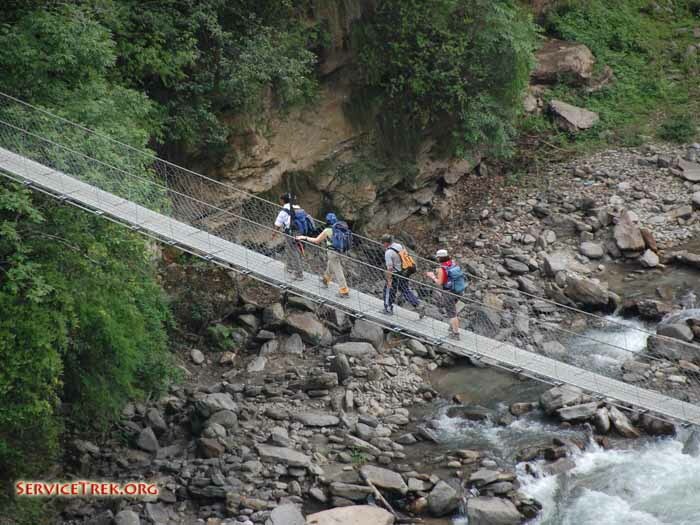 Originally we thought we only needed 250 metres and 4 porters. This long length of pipe will ensure a constant flow 12 months a year, as sources closer to the convent have been going dry for several months each year. This increased length of pipe is going to vastly increase the original cost projections. The cost of cultural preservation is high it seems. However, considering there has been no running water to this convent up to now, I guess the cost is relative. 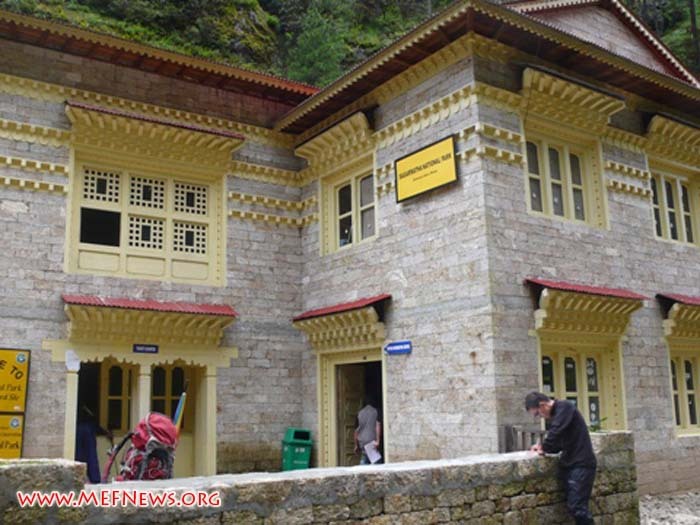 Deboche convent was built in 1925 and is the sister monastery to the Thyangboche men's monastery 2 kilometres distant at the top of the hill. By the way, the men got their water 40 years ago, while the women are still waiting for theirs!! 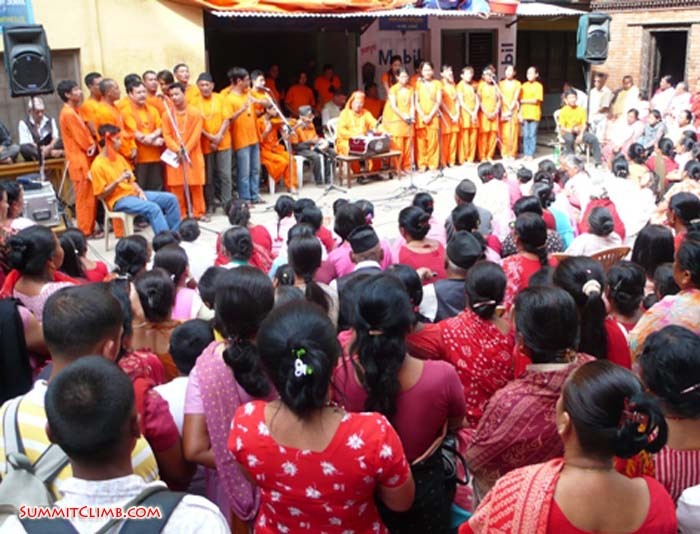 A singing group performs on a street corner for Krishna's birthday. 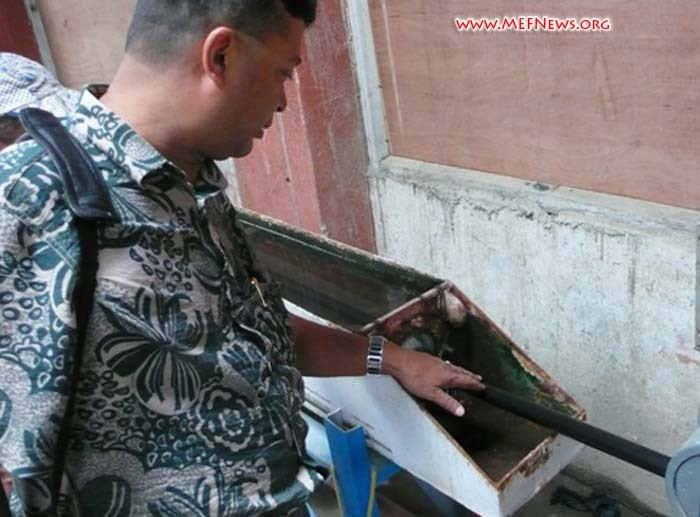 Checking extruded pipe coming out of cooling tank. Colourful shop window in Thamel. 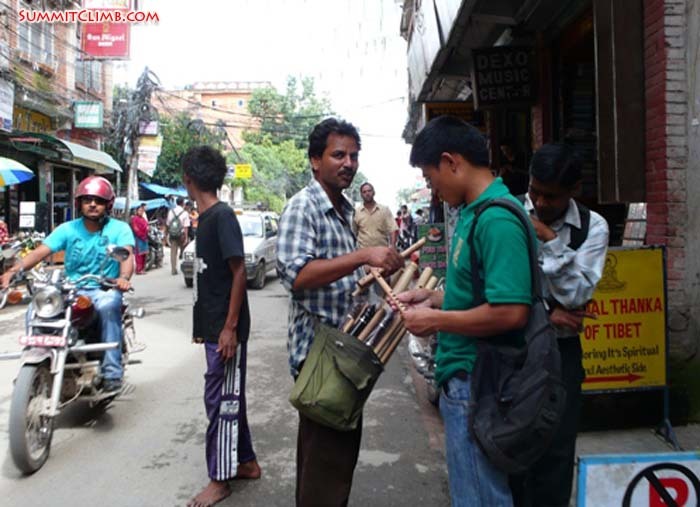 Flute seller on a street in Thamel. Hisi pipe company has their own generator. 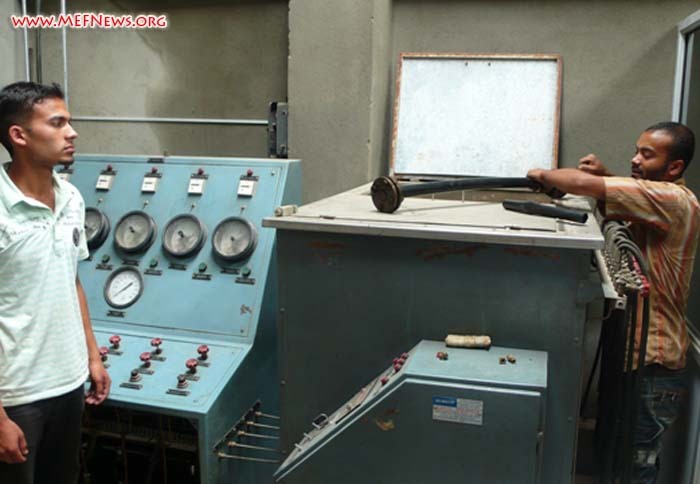 Murari Sharma, director MEFSD showing plastic beads for making pipe while factory foreman observes. Illustration showing pipe being carried helicoptered setup in village water jugs filled. Inside the pipe pressure testing laboratory (Dan Mazur). Hello SummitTrekNews.com , SummitClimbNews.com , and MEFnews.org readers. Thanks for following our news!!! Today was a very busy day indeed. It rained a fair bit and was warm and the sun poked its head out too. Kathmandu is very clean, green, and beautiful at the moment. We met with Arnold and Maya, two of Holland and Nepal's most famous climbers and were thrilled to meet their 48 day old baby daughter who has 5 names. Marianne Heredge from Rural Assistance Nepal came over to update us on her projects and suggest a joint trek between RAN and MEFSD and advised us how best to get nurse Dati Sherpa some birthing training at Patan teaching hospital, at the request of Christy Thuesen. Thanks Christy!!! We met Justin Dickinson from the Big Umbrella and heard his fascinating stories about making Hollywood films and Natascha regaled us with gory stories about burning and chopping things. 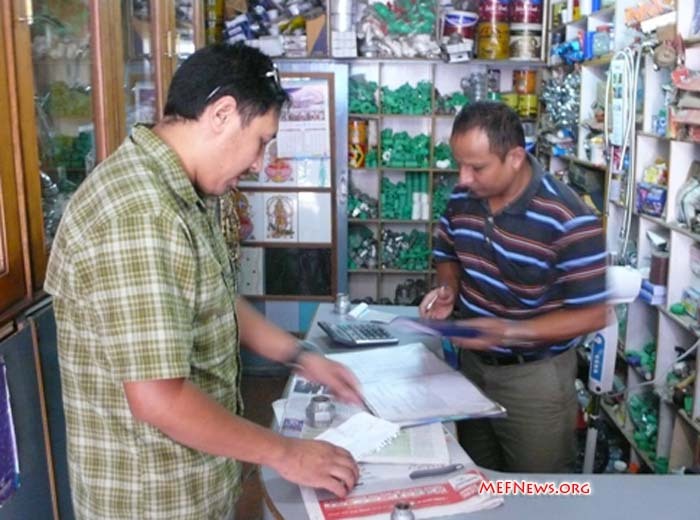 Max is extremely busy working with Murari, Jon Otto and Stewart getting the Cho Oyu permit and visas into place. 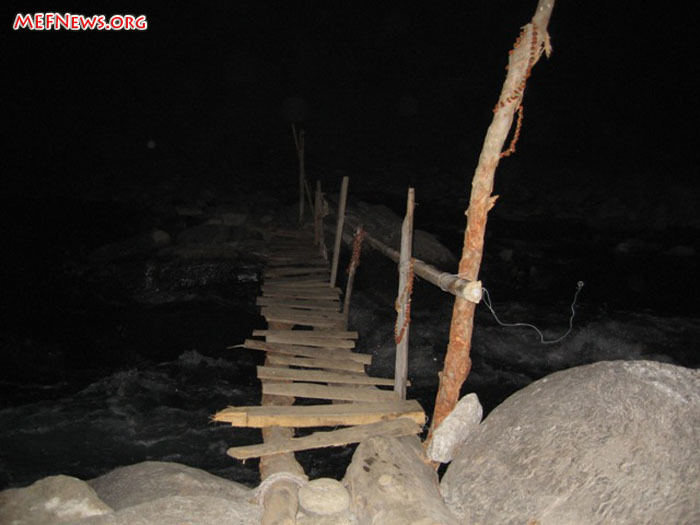 Mingma ordered the pipe and parts from the supply house for the Deboche Waterline Project. Now we just have to figure out how we will get all of the supplies up there. 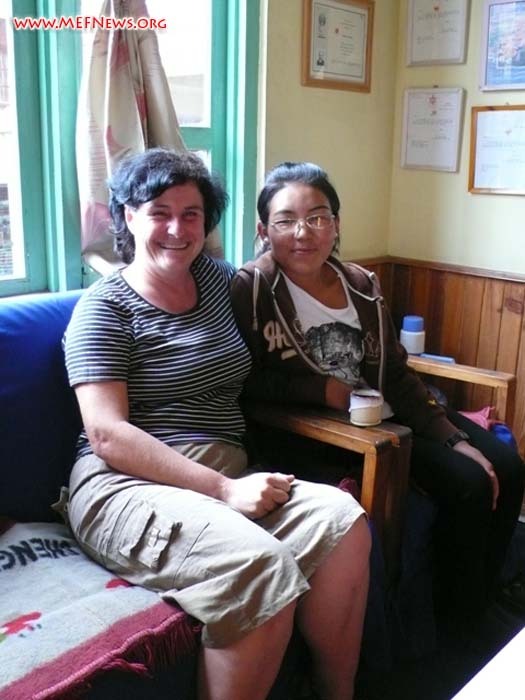 Marianne Heredge from Rural Assistance Nepal with Dati Sherpa studying to be a birthing nurse at Dhaurkharka Health Clinic. 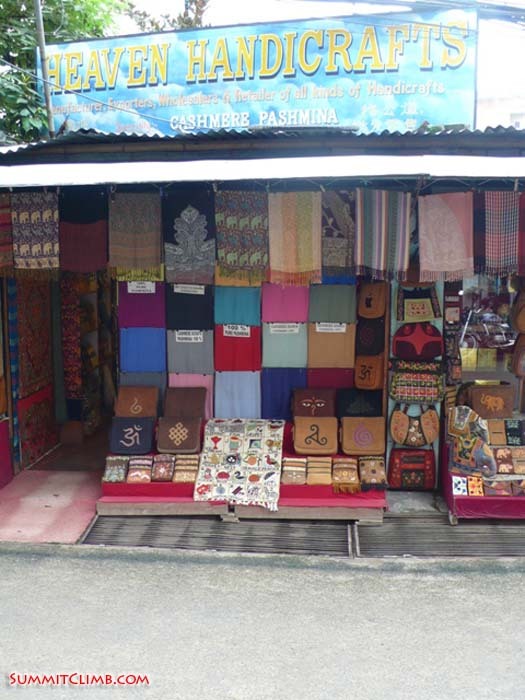 One of Kathmandus colourful handicraft embroidery and pashmina shops. 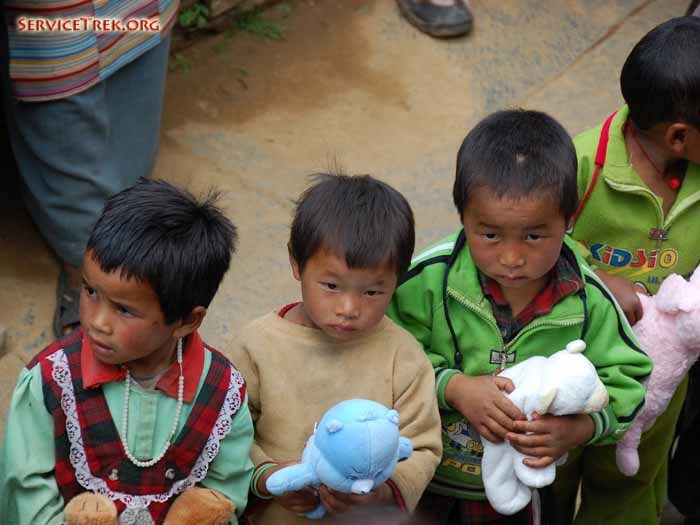 Kandu holding 48 day old Roos Dawa Yangjie Sherpa Coster, Maya Sherpa and Arnold Coster (Dan Mazur). 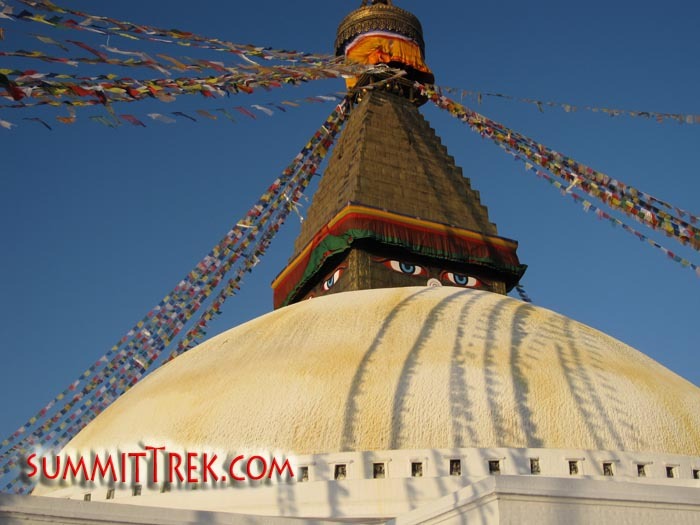 Here is today's dispatch for http://www.summitclimb.com// and http://www.summittrek.com/ and http://www.mounteverestfoundation.org/ . 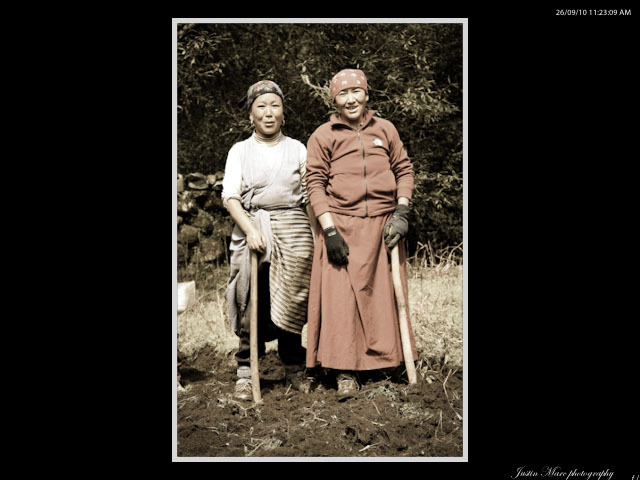 Mingma and Yangjie Sherpa discuss the Deboche waterline. Miss Hawley, Murari and Max (Dan Mazur). 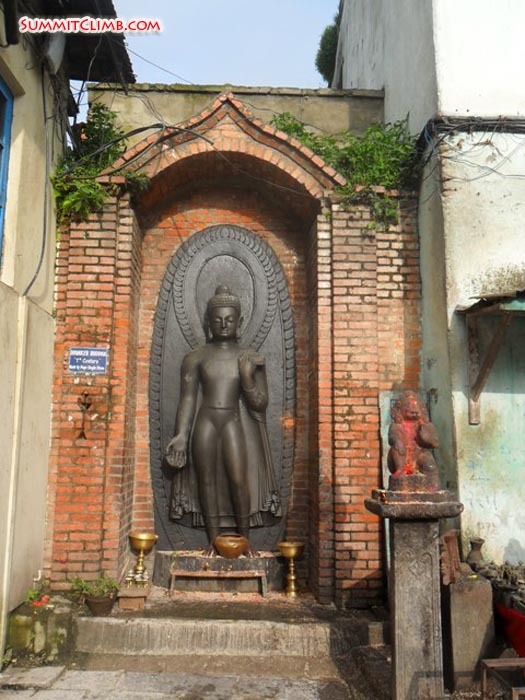 Dipanker Buddha - 7th century, made of huge single stone. 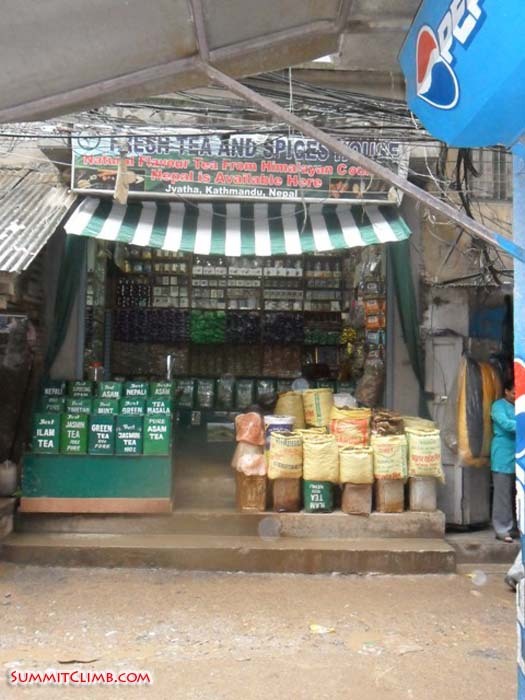 Tea shop on the street in Kathmandu. 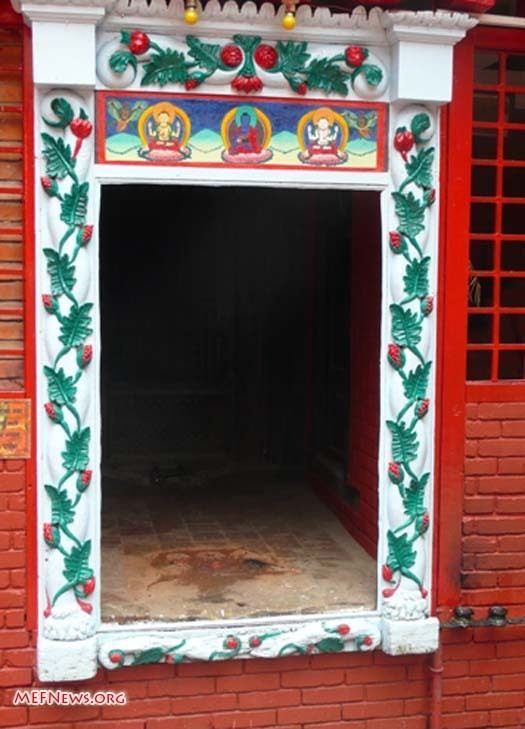 Monkey temple. 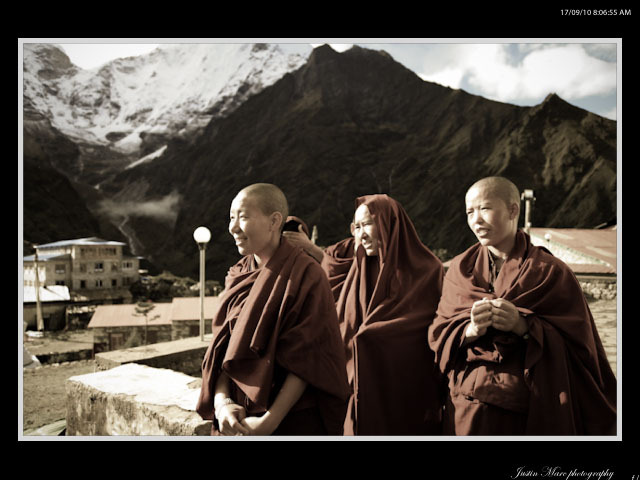 On the steps of the Monkey temple (Simon Cahill). 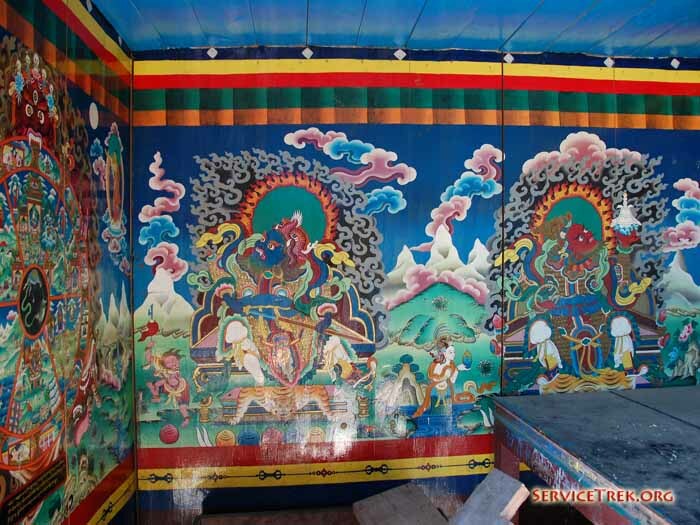 Well, our Autumn walking, climbing, and charity/non-profit season is just beginning, and I am currently writing this dispatch from the Singapore Changi airport, where we are on our way to Nepal and Tibet. 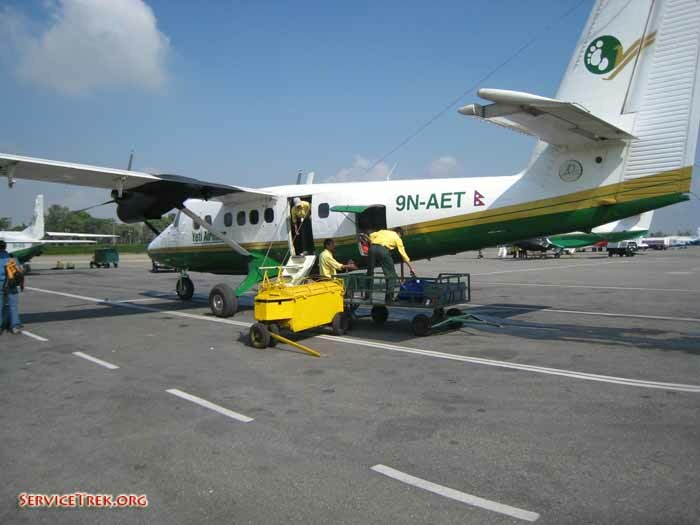 Passing through multiple airports during several days of flying and crossing the international dateline are required to enter the Himalayan Kingdom. Soon we will be looking up at Mount Everest up close and personal, together with our friendly team of men and women of all ages from around the world. With this first dispatch, I am including our first photo. Whilst in the airport waiting for a flight, we saw a large photo of a salmon fishing boat towing a purse seine skiff. We could not help but notice that the name of the boat, emblazoned on the transom, is the same name as the town one of our offices is located in: "Lakebay". What a surprise to see this name reminding us of our roots and jogging memories about how thankful we are about everyone back at home and in the office who are working so hard to support the Himalayan teams out in the field. 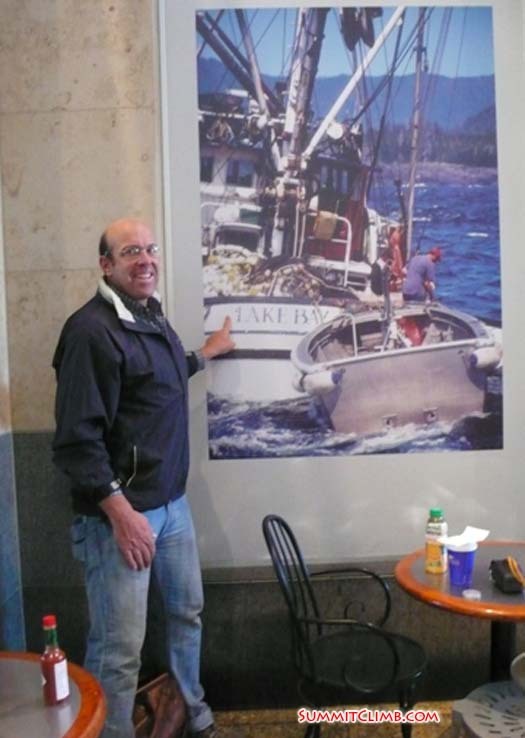 This photo shows one of our leaders, Dan Mazur, standing next to the boat's picture in the airport. Does anyone know who took that photo of the fishing vessel "Lakebay"? If so, please let us know, as we would surely like to thank the photographer. The photo of Dan and the poster were taken by an anonymous restaurant patron who stopped for coffee. Dan in front of Lakebay fishing boat, photo at airport (Dan Mazur).